This invention was made with Government support of Grant No.W81XWH-05-1-0616, awarded by the Department of Defense, and 5RC1AR058333, awarded by the National Institutes of Health. The Government has certain rights in this invention. Duchenne muscular dystrophy (DMD) is a lethal X-linked recessive disease characterized by progressive muscle weakness over a patient's lifetime . It is the most common childhood form of muscular dystrophy affecting about 1 out of 3500 live male births worldwide . DMD is primarily caused by out of frame multi-exon deletions in the DMD gene that ablate dystrophin protein production . Dystrophin is an essential component of the dystrophin glycoprotein complex (DGC), which functions in linking the actin cytoskeleton to extracellular matrix to provide sarcolemmal stability in the context of muscle contraction. The DGC also plays a role recruiting and organizing signal transducers at the sarcolemmal membrane. Both of these activities are required for muscle cell health, and thus the absence of dystrophin leads to progressive loss of muscle function. Dystrophin binds to actin via N-terminal sequences and to b dystroglycan within the DGC via carboxyl terminal domains, whereas the central portion of the protein consists of a rod domain containing multiple spectrin repeats. Deletions within the central rod domain that preserve the reading frame can produce an internally deleted dystrophin protein that retains some functionality and localizes to the membrane within the DGC . Typically, the more mild allelic disorder, Becker muscular dystrophy, results from DMD mutations in the rod domain which remain in-frame 3' of the deletion and produce a functional dystrophin protein . There are no curative therapies for DMD, and the only demonstrated pharmacological treatment is corticosteroids, which may prolong ambulation for up to 3 years, but with substantial side effects . An emerging therapy, exon skipping, targets individual exons with antisense oligos (AOs) for exclusion from mRNA based on an individual's known genomic DNA mutation with the goal to change out-of-frame mutations into in-frame DMD deletions that restore the reading frame in dystrophin mRNA and allow translation of dystrophin protein. Figure 9 is a schematic illustration of antisense-mediated therapeutic exon skipping. AOs have been successfully demonstrated to promote DMD exon skipping and restore dystrophin protein expression in mice, dogs and humans in recent clinical trials [7-12]. High dose, chronic administration of an exon 23 directed AO in the mdx mouse demonstrated substantial disease reduction highlighting the tremendous promise of this therapy for DMD in humans . A series of AOs are under development for human use and about half of all DMD patients could be treated with the targeting of 6 different exons (51, 45, 53, 44, 52, 50) in the most frequently deleted portion of the gene between exons 45-53 . For instance, DMD exon 51 skipping will be appropriate for about 13% of all DMD patients, and is the first in clinical trials with two different backbone chemistries, 2'-O-methyl phosphorothioate and morpholino phosphorodiamidate (PMO), both of which have shown promising results [8-10]. These studies are paving the way in personalized genetic medicine. Recent phase 1-2a clinical trial results utilizing systemic 2'-O-methyl modified AO directed against DMD exon 51 (Pro051) rescued dystrophin protein at levels ranging from 1.8-15.6% of normal . A modest improvement in the 6 minute walk test at 48 weeks was observed with weekly subcutaneous dosing of 6mg/kg in a non-placebo controlled extension trail, but it remains to be determined if the levels of dystophin produced are sufficient to impart substantial functional utility or longterm protection of muscle . Morpholino AO directed against exon 51 (AVI-4658) resulted in dystrophin rescue with up to 55% of myofibers induced to be dystrophin positive after 12 weeks of therapy in humans. However, the total amount of dystrophin induced was generally low, at 0-27% of normal . Further, DMD exon skipping efficacy and dystrophin expression varies across patients, and muscle types. There is a need for an improvement in exon skipping therapy that would result in more total dystrophin expression and broader effect in multiple muscle groups. For example, synergistic treatments that would permit equal efficacy with reduced AO dose, accompanied by lower toxicity, could substantially impact the practicality of the chronic administration of expensive to produce oligonucleotides . The invention provides furaltadone hydrochloride, or a pharmaceutically acceptable salt, hydrate, solvate, or isomer thereof, for use in a method of treating Duchenne Muscular Dystrophy (DMD), or a non-human model of DMD. The invention also provides a combination for enhancing exon skipping in an mRNA of interest, comprising a furaltadone hydrochloride, or a pharmaceutically acceptable salt, hydrate, solvate, or isomer thereof, and an AO that is specific for an exon that is to be skipped, and, optionally, a pharmaceutically acceptable carrier. The invention also provides a product containing furaltadone hydrochloride, or a pharmaceutically acceptable salt, hydrate, solvate, or isomer thereof and AO according to claim 10 as a combined preparation for simultaneous, separate or sequential use in the treatment of DMD or animal model of DMD. The invention also provides a kit for enhancing exon skipping in an mRNA of interest, comprising furaltadone hydrochloride, or a pharmaceutically acceptable salt, hydrate, solvate, or isomer thereof, and an AO that is specific for an exon splicing sequence in the mRNA of interest, wherein the AO and furaltadone hydrochloride, or a pharmaceutically acceptable salt, hydrate, solvate, or isomer thereof are optionally packaged in containers, separately or together. The invention also provides a method of enhancing exon skipping in an mRNA of interest, the method comprising contacting the mRNA with furaltadone hydrochloride or a pharmaceutically acceptable salt hydrate, solvate, or isomer thereof, wherein said method is carried out in vitro. Figure 1 shows that a custom CGH array confirms deletion breakpoints in GM05017. A custom CGH array was designed with 14022 probes tiling the DMD gene with a resolution of approximately 1 probe every 160bp. Probe number one maps to genomic position chrX:31047266 and probe 14022 maps to genomic position chrX:33267570. Genomic DNA from the GM05017 was labeled with Cy3, and non-mutated human genomic DNA was labeled with Cy5 and were co-hybridized to the custom designed array. Arrays were scanned with the DNA Microarray Scanner with Surescan High-Resolution Technology (Agilent) and data was extracted with Feature Extraction Software version 10.5.1.1. The values were extracted from the software and analyzed in R. The log ratio of the Cy3/Cy5 intensity for all probes is given in Panel B. Probes 4409 to 5615 demonstrated lower Cy3 signal and are consistent with a deletion from intron 44 to intron 50, which includes exons 45-50 of DMD. Figure 2 shows that reprogrammed fibroblasts temporally express muscle markers at the RNA and protein level during the fusion process. Reprogrammed GM05017 patient fibroblasts were seeded onto laminin coated dishes in growth media (DMEM with 15% FBS, 1% nonessential amino acids, 1% pen/strep). The following day MyoD was induced with 5uM tamoxifen in growth media for 24 hours. On day 3 the growth media was removed and replaced with fusion media (2% horse serum, 2% insulin-transferrin-selenium (Sigma), 1:1 serum free DMEM to Ham's F-10) that contained 1uM tamoxifen. The cells were incubated in fusion media with 1uM tamoxifen remained on the cells until harvesting at day 10. (A) During the fusion process cells temporally expressed indicated genes as detected by RT-PCR. (B) Myosin heavy chain (MHC) is expressed in multinucleated elongated cells consistent with differentiation into myotubes (lower panel). Cells remaining in growth media without tamoxifen failed to express myosin heavy chain (upper panel). Figure 3 shows that Dantrolene enhances Dmd exon 23 skipping with intramuscular PMOE23. (A) Exon 23 skipping was determined using a nested RT-PCR of RNA isolated from the tibialis anterior muscle, between Dmd exons 20-26. The 901bp product is the unskipped mRNA species whereas the 688bp product represents the exclusion of exon 23, and the 550bp product is skipping both exons 22 and 23 [Mann et al 2001]. (B) Quantitative taqman assay to assess Dmd exon 23 skipping. The ratio of mRNA species (exon 23 skipped vs. full length) from total RNA, derived from two central intervals spanning 400 microns within the tibialis anterior muscle, was compared for 3 mice per treatment group. The skip to full-length mRNA ratios are represented as their fold change with respect to mdx untreated controls, with error bars indicating the standard deviation of measurements from 3 mice per group. Figure 4 shows that Dantrolene rescues dystrophin protein in the tibialis anterior muscle after intramuscular injection of PMOE23. (A) Western blot showing dystrophin expression (MANDYS8) in isolated muscle samples from the tibialis anterior muscle. Vinculin is shown as a relative loading control. Protein isolates from C57 mice were loaded at one-tenth the levels of samples from mdx mice. (B) Quantitation of dystrophin expression in the tibialis anterior as determined by densitometry analysis of western blot bands. (C) Quantitative fluorescence of dystrophin expression from muscle cross-sections as described in Example I. Figure 5 shows that Dantrolene enhances systemic PMOE23 directed Dmd exon 23 skipping and dystrophin protein rescue in the mdx mouse. (A) Quantitative qRT-PCR for the detection of Dmd exon 23 skipping represented as the Dmd exon 23 skip/full-length mRNA ratio. The increase in the proportion of exon 23 skipped mRNA species in the 10mg/kg AO + Dantrolene as compared to the carrier control is given followed by the p value for each skeletal muscle. (B) Quantitative fluorescence as described in Figure 3d for each skeletal muscle. The increase in the proportion of dystrophin protein in the 10mg/kg AO + Dantrolene as compared to the carrier control is given followed by the p value for each skeletal muscle. (C) Densitometry analysis of Dystrophin protein detected for each treatment group from the quadriceps, gastrocnemius, tibialis anterior, and diaphragm. Dystrophin signal was normalized to the vinculin loading control before comparisons across treatment groups. Figure 6 shows individual Western blots for dystrophin in the quadriceps, tibialis anterior, and diaphragm. Dystrophin expression in the muscles of treated mice is shown as detected using the Mandys8 antibody. 40ug of protein was loaded for each muscle for the mdx mice and 4ug of protein was loaded for the C57 control. The percentage above each lane depicts the relative dystrophin expression when comparing to a wildtype (C57) control, as determined by optical density measurements of the indicated bands. Figure 7 shows individual micrographs from all skeletal muscles depicting dystrophin protein and DNA. Whole muscle cross sections from mice are shown with cell nuclei labeled using DAPI (light stain) and dystrophin expression detected using the Mandys8 antibody (more intense (whiter) stain). Figure 8 shows that Dantrolene rescues full-length dystrophin protein in combination with AO that is correctly localized to the sarcolemma. Serial sections of the quadriceps muscle from 1 mouse per treatment group were stained for dystrophin with antibodies corresponding to 3 different protein domains; the rod domain, N terminus, and C terminus. Dystrophin is detected and correctly localized to the sarcolemma with all 3 antibodies. Figure 9 illustrates the general concept of antisense mediated therapeutic exon skipping for DMD. Shown is Exon 51 skipping (with the antisense oligo PRO051). Figure 10 shows a schematic of enhancing PMO exon skipping in the mdx mouse protocol. At day 11, the effect of the small molecule compound being tested is assessed at the RNA, protein and subcellular levels. Figure 11 shows that structurally similar phenothiazines enhance AO directed DMD exon 51 skipping. Patient fibroblasts with a DMD exon 45-50 deletion were immortalized and transduced with a lenti-viral vector expressing inducible MyoD to create iDRMs (inducibly directly reprogrammable myotubes, specifically iDRM05017s). iDRM05017s were induced for MyoD activity and then cultured for 10 days in fusion media. On Day 7, AO was added for twenty-four hours then removed and Piperacetazine, Trifluoperazine Dihydrochloride, Fluphenazine Dihydrochloride or vehicle (Dimethyl sulfoxide; DMSO) were added in fresh media. After two days total RNA was harvested, cDNA reverse transcribed with a DMD specific primer in exon 54, and exon 51 skipping was detected by nested RT-PCR spanning exons 43-52. Quantitation of exon 51 skipping was performed using the Agilent Bioanalyzer and is represented as the proportion of exon 51 skipping. Error bars represent the standard deviation (SD) of 3 independent wells. Figure 12 shows that rauwolscine hydrochloride and yohimbinic acid monohydrate enhance AO directed DMD exon 51 skipping. As in Figure 11, on day 7 of fusion, AO was added to iDRM05017s followed by the addition of Rauwolscine HCl, Yohimbinic acid monohydrate or vehicle (Dimethyl sulfoxide; DMSO) on Day 8. After two days total RNA was harvested, cDNA reverse transcribed and exon 51 skipping was detected by nested RT-PCR spanning exons 43-52. Quantitation of exon 51 skipping was performed using the Agilent Bioanalyzer and is represented as the proportion of exon 51 skipping. Error bars represent the SD of 3 independent wells. Figure 13 shows that menadione enhances AO directed DMD exon 51 skipping. On day 7 of fusion, AO was added to iDRM05017s and twenty-four hours later removed and Menadione or vehicle (Dimethyl sulfoxide; DMSO) were added in fresh media. After two days total RNA was harvested, cDNA reverse transcribed with a DMD specific primer in exon 54, and exon 51 skipping was detected by nested RT-PCR spanning exons 43-52. Quantitation of exon 51 skipping was performed using the Agilent Bioanalyzer and is represented as the proportion of exon 51 skipping. Error bars represent the SD of 3 independent wells. Figure 14 shows that water-soluble dantrolene enhances AO directed DMD exon 51 skipping. On day 7 of fusion, AO was added to iDRM05017s and twenty-four hours later removed and water-soluble dantrolene (Revonto) or vehicle (6.7% Mannitol) were added in fresh media. After two days total RNA was harvested, cDNA reverse transcribed with a DMD specific primer in exon 54, and exon 51 skipping was detected by nested RT-PCR spanning exons 43-52. Quantitation of exon 51 skipping was performed using the Agilent Bioanalyzer and is represented as the proportion of exon 51 skipping. Error bars represent the SD of 3 independent wells. Figure 15 shows that ryanodine receptor antagonists enhance AO directed DMD exon 51 skipping in a reprogrammed patient cell line. On day 7 of fusion, AO was added to iDRM05017s and twenty-four hours later removed and Dantrolene, Ryanodine, S107 or vehicle (Dimethyl sulfoxide; DMSO) were added in fresh media. After two days total RNA was harvested, cDNA reverse transcribed with a DMD specific primer in exon 54, and exon 51 skipping was detected by nested RT-PCR spanning exons 43-52. Quantitation of exon 51 skipping was performed using the Agilent Bioanalyzer and is represented as the proportion of exon 51 skipping. Error bars represent the SD of 3 independent wells. Figure 16 shows that dantrolene synergizes with intravascularly delivered AO to increase muscle strength in mdx mice. Weekly systemic doses of saline, 10mg/kg of morpholino M23D (+07-18) was administered intravascularly on Day 1, 8, and 15. Dantrolene or carrier (20% DMSO in saline) was administered intraperitoneally at a dose of 10mg/kg/day in two divided doses daily. On Day 18 functional improvement was blindly assessed by using the taut wire test. Latency to fall (in seconds) was recorded for five consecutive trials, with a one minute break occurring in between each trial. Plotted is first the average across five trials, and then the normalized average (seconds / grams) across experimental groups. Error bars represent the s.e.m. There was a significantly increased ability of mdx mice to hang on wire (p=0.022). The present inventors identify herein low molecular weight compounds (sometimes referred to herein as "small molecules" or "small molecule compounds" or "compounds") which block some forms of mRNA splicing and/or enhance (facilitate, augment) other forms of mRNA splicing. The types of splicing that can be regulated by a method disclosed herein include alternative splicing, in particular exon skipping. Depending on factors such as the splicing sequence and the gene or exon involved, this modulation of splicing can be accomplished in the presence of, or in the absence of, antisense oligonucleotides (AOs) that are specific for splicing sequences of interest. A small molecule and an AO of the disclosure may act synergistically. The antisense molecules used in a method disclosed herein are sometimes referred to herein as antisense "splice switching oligonucleotides (SSO's)." Table 1 lists 27 representative small molecules which can be used in a method of the disclosure. It is to be understood that references herein to the 27 small molecules in Table 1 include pharmaceutically acceptable salts, hydrates, solvates or isomers thereof. As shown in the Examples herein, the inventors performed a small molecule cell based screen using a human exon 50 (of the DMD gene) reporter cell line, which is activated when exon 50 is skipped. The cell line, which was adapted to allow the screening of thousands of compounds in multiple replicates, was obtained from Dr. Qi Lu. The compounds which were screened were selected from FDA approved libraries or known biologically active molecule libraries. Lead hits (shown in Table 1) were further validated using assessment of RNA sequence and with various dose titrations in mouse cells, and demonstrate synergy with antisense oligonucleotide. Each of the compounds was validated in counterscreens to rule out toxicity and autofluorescence, and demonstrated to have activity in 16 point titrations of the compound, either alone or in synergy with anti-sense oligonucleotide. The aggregate group of compounds defines new classes of drugs which induce (enhance) exon skipping. Some of the compounds are shown to increase the amount of skipped exon 50 dystrophin mRNA when applied externally to cells growing in culture either alone or in synergy with anti-sense oligonucleotide. One of the tested compounds, dantrolene, was demonstrated to affect mdx mice in vivo with systemic administration. Other studies presented herein also demonstate exon skipping of, e.g., exon 23 and exon 50 of DMD. It is expected that at least some of the compounds will induce (enhance) exon skipping and create alternate splice forms of proteins that are relevant to a variety of disease states. Each of the identified compounds has a different known effect on cells and has been used for different therapeutic purposes. How each of the compounds affects the RNA splicing machinery to alter the efficiency of exclusion of targeted exons is not known at this time. While the detailed molecular mechanisms are not yet established, several of the compounds identified, for instance Dantrolene, have well-characterized effects in cells and in humans. Dantrolene's known effect is to block the ryanodine receptor which prevents release of calcium that is needed for muscle cell contraction when excited. This drug is used clinically to mitigate the effects of malignant hyperthermia. The use of Dantrolene in combination with antisense oligonucleotide to induce an inframe transcript is a novel use for this compound. Dantrolene has been tried as a single agent to treat Duchenne muscular dystrophy without significant beneficial effect and without significant deleterious effects. None of the identified compounds has been used in order to alter exon splicing therapeutically. For example, some of these compounds are known vermicidals, anti-hypertensive, anti-malarial, anti-psychotic or anti-cancer agents. It is expected that endogenously generated antisense oligonucleotides (for instance from gene delivery) will augment exon skipping in a similar manner as exogenously administered AOs. For example, endogenously generated small nuclear RNA (sRNA) carrying appropriate antisense sequences and transcribed from, e.g., a U7 snRNA-based gene construct can be used in a method disclosed herein. Advantages of methods and combinations disclosed herein include that they augment the efficiency of exon skipping (e.g., when performed in the presence of AO) and thus allow a sufficient amount of skipping to be therapeutically relevant and/or reduce the cost resulting from high doses and repeated administration of expensive AOs. "Antisense-mediated exon skipping," as used herein, refers to an approach that uses antisense oligonucleotides (AOs) to modulate splicing by blocking (hiding) specific sequence motifs in the pre-mRNA (sometimes referred to herein as "splicing sequences") essential for exon inclusion from the splicing machinery. AOs that block aberrant splice sites can restore normal splicing. Alternatively, AOs targeting certain splicing sequences can switch splicing patterns from detrimental to beneficial isoforms or can convert at least partially non-functional mRNAs into functional mRNA. An example of the latter approach is the restoration of a disrupted reading frame, thereby generating semi-functional proteins instead of non-functional proteins. A compound disclosed herein can be used to block splicing at a site of interest by specifically interacting with (e.g., binding to) a splicing sequence at that site, either directly or indirectly. By a "splicing sequence" is meant a sequence that regulates and/or is required for splicing out of a particular intron and/or the retention of a particular exon. The splicing sequence can be, for example, a splice donor site, a splice acceptor site, a branch site, an intronic splicing enhancer (ISE), an exonic splicing enhancer (ESE), an intronic splicing silencer or an exonic splicing silencer. An AO used in a method disclosed herein can bind directly and specifically to a target splicing sequence of interest. By "specific binding" is meant that the AO binds preferentially to the target sequence of interest, but not to non-target sequences under conditions in which specific binding is desired. The conditions can be, e.g., physiological conditions in the case of in vivo assays or theraprutic treatment, and for in vitro assays, conditions in which the assays are performed. Because the mechanism by which small molecule compounds disclosed herein block splicing (e.g., enhance exon skipping) is not known for all of the compounds, it is not known whether the compound binds directly to a splice site or acts indirectly (e.g., by binding to another RNA or protein element of a spliceosome). Regardless of the mechanism, a compound disclosed herein that "specifically" blocks a splicing event of interest is one that preferentially blocks the particular splicing event but does not block non-targeted splicing events, under conditions in which specific blocking is desired. As used herein, the term "antisense oligonucleotide (AO)" refers to a single-stranded oligonucleotide that is specific for, and complementary to, a splicing sequence of interest, and accordingly is capable of hydrogen bonding to the sequence. One of skill in the art can readily design AOs to be specific for suitable target sequences, many of which are well-known in the art. For example, one can access pre-mRNA sequences comprising suitable splicing sequences in publications or in annotated, publically available databases, such as the GenBank database operated by the NCBI. A skilled worker will be able to design, make and use suitable antisense oligonucleotides, based on these or other sequences, without undue experimentation. A number of AO's have been designed for enhancing exon skipping and some are currently in preclinical or clinical trials. Any of these AOs is suitable for use in a method disclosed herein. An antisense nucleic acid may be, e.g., an oligonucleotide, or a nucleic acid comprising an antisense sequence that is operably linked to an expression control sequence and that is expressed in a cell. Antisense oligonucleotides may have a variety of different backbone chemistries, such as morpholino phosphorodiamidate (PMO) or 2'-O-methyl' or peptide nucleic acids, etc., which stabilize them. For example, it can be DNA, RNA, PNA or LNA, or chimeric mixtures or derivatives or modified versions thereof. The nucleic acid can be modified at the base moiety, sugar moiety, or phosphate backbone, using conventional procedures and modifications. Modifications of the bases include, e.g., methylated versions of purines or pyrimidines. Modifications may include other appending groups that will be evident to a skilled worker. Antisense oligonucleotides can be constructed using chemical synthesis procedures known in the art. An AO can be chemically synthesized using naturally occurring nucleotides or variously modified nucleotides designed to increase the biological stability of the molecules or to increase the physical stability of the duplex formed between the antisense and sense nucleic acids, e.g. phosphorothioate derivatives and acridine substituted nucleotides can be used. 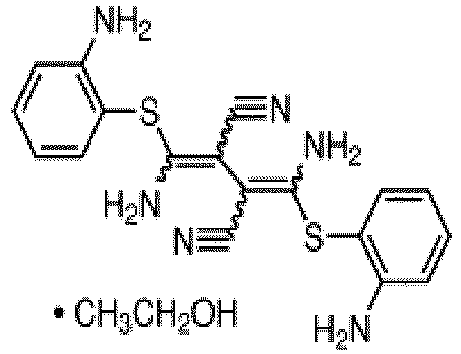 For guidance in methods of synthesizing morpholino AO's for use in the present disclosure, see, e.g., US patent application 2009/0131624 ("Synthesis of morpholino oligomers using double protecte guanine morpholino subunits"). For guidance in synthesizing oligonucleotides, see, e.g., Gough et al. (1979) Nucleic Acids Research 7, 1955-1964; Hata et al. (1983) Tetrahedron Lett. 24, 2775-2778; Jones et al. (1982A Tetrahedron Lett. 23, 2253-2256; Jones et al. (1982) Tetrahedron Lett. 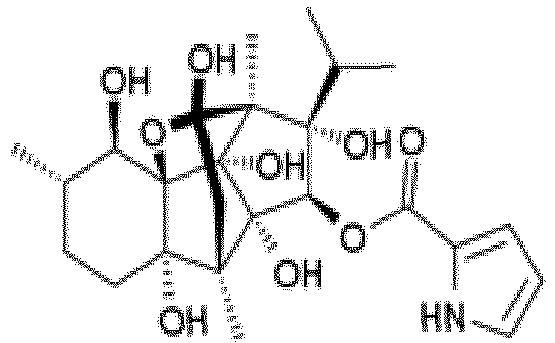 23, 2257-2260; O. Mitsunobu (1981) Synthesis 1, 1-28; Reese et al. (1981) Tetrahedron Lett. 22, 4755-4758; Reese et al. (1984) J. Chem. Soc., Perkin Trans. 11263-1270; Summerton et al. (1993) U.S. Pat. No. 5,185,444 ; Summerton et al. (1997) Antisense Nucl. Acid Drug Dev. 7(3), 187-195. For guidance in synthesizing dantrolene, see e.g. Oleinik et al. (1984) Pharmaceutical Chemistry Journal 18 (5), 310-312. To enhance exon skipping in cells in culture, AO's can be added to cells in culture media. Typically, synthetic oligonucleotides are added to a final concentration of about 10nM to about 10 microM, e.g., about 50 nM to about 1000 nM (e.g., at increments of 10 nM within the indicated ranges). The term "about" a particular value, as used herein, means plus or minus 10% of the indicated value. Effective doses of AOs for in vivo administration can be determined, e.g., on the basis of the amounts used for exon skipping in the absence of a small molecule of the present disclosure. Many AO's have been administered to subjects in the absence of small molecule compounds of the disclosure, and doses have been established which are at least partically effective and are nontoxic to the subjects. In general, doses of AOs ranging from about 5-100 mg/kg/wk IV (intravenous) (or comparable amounts for other modes of admin) are effective for inducing at least a detectable amount of dystrophin expression with targeted removeal of a given exon. Alternatively, an antisense oligonucleotide can be produced biologically using an expression vector into which a nucleic acid has been subcloned in an antisense orientation (i.e., nucleic acid transcribed from the inserted nucleic acid will be of an antisense orientation to a target sequence of interest). Expression control sequences (e.g., regulatory sequences) operatively linked to a nucleic acid cloned in the antisense orientation can be chosen which direct the expression of the antisense RNA molecule in a cell of interest. For instance, promoters and/or enhancers or other regulatory sequences can be chosen which direct constitutive, tissue specific or inducible expression of an AO. Inducible expression of antisense RNA, regulated by an inducible eukaryotic regulatory system, such as the Tet system (e.g., as described in Gossen et al. (1992) Proc. Natl. Acad. Sci. USA 89, 5547-5551; Gossen et al. (1995) Science 268, 1766-1769; PCT Publication No. WO 94/29442 ; and PCT Publication No. WO 96/01313 ) can be used. The antisense expression vector can be in the form of, for example, a recombinant plasmid, phagemid or attenuated virus. Suitable viral vectors include, e.g., adeno-associated virus (AAV) or lentivirus vectors. The antisense expression vector can be introduced into cells using standard techniques well known in the art. For guidance in using AAV vectors for introducing antisense molecules into mdx mice, see e.g. Denti et al. (2008) Hum Gene Ther 19, 601-608 or Incitti et al. (2010) Mol. Ther. 18, 1675-1682. Disclosed herein is an RNA molecule that comprises the sequence antisense to a splicing sequence in, e.g., the dystrophin pre-mRNA, is produced biologically by using an expression vector into which a nucleic acid has been subcloned. Expression control sequences (e.g. regulatory sequences) operably linked to the cloned nucleic acid can be chosen which direct the expression of the antisense RNA molecule comprising the sequence antisense to a splicing sequence in, e.g., dystrophin pre-mRNA, in a cell of interest. The RNA molecule may comprise, e.g., a U1 snRNA, U2 snRNA, U6 snRNA or U7 snRNA. Without wishing to be limited by any particular mechanism, it is suggested that expression of the snRNA generates an snRNP particle which then binds to the target sequence in dystrophin pre-mRNA via the complementary fragment of snRNA. Any of the types of expression control sequences described in the previous paragraph can be used to direct the expression of the desired RNA. Disclosed herein is an AO comprising a strand that is completely complementary (100% identical in sequence) to a splicing sequence that it is designed to inhibit. That is, every contiguous nucleotide in the AO is hybridized to every nucleotide in a splicing sequence. However, 100% sequence identity between the AO and the target splicing sequence is not required to practice the present disclosure. Thus, the invention has the advantage of being able to tolerate naturally occurring sequence variations that might be expected due to genetic mutation, strain polymorphism, or evolutionary divergence. Alternatively, the variants may be artificially generated. Nucleic acid sequences with, e.g., small insertions, deletions, and single point mutations relative to the target sequence can be effective for inhibition. The degree of sequence identity can be, e.g., 95%, 98%, 99%, or 100%. Such a variant AO must, of course, retain the relevant activity of the AO from which it is derived. (e.g., the ability to suppress splicing at a site of interest). Such variants are sometimes referred to herein as "active variants." The length of an AO may vary, provided that it is capable of binding selectively to the intended splicing sequence within the pre-mRNA molecule. A skilled worker can readily determine a satisfactory length. Generally, an AO is from about 10 nt in length to about 50 nt in length. Any length of nucleotides within this range, including the endpoints, can be used in a method disclosed herein. The length of the AO may be about 17-30 nt in length. For further guidance for designing suitable antisense molecules that are complementary to a region of a pre-mRNA involved in splicing (thereby blocking splicing), and for methods for making and delivering such molecules to a cell or a subject, see, e.g., US 2008/0200409 or USP's 7,973,015 , 7,960,541 , 7,902,160 , 7,888,012 , 7,879,992 or 7,737,110 . A method disclosed herein can be carried out in vitro (e.g., to elucidate the mechanism by which splicing occurs, such as to reveal novel molecular interactions in the processing of mRNA; or to screen for compounds that can block a splicing event and thus, for example, enhance exon skipping). Also disclosed herein is a method which is carried out in a subject, in vivo. A "subject," as used herein, can refer to any animal which is subject to a disease or condition that can be treated. Suitable subjects include, e.g., a mammal, such as an experimental animal or disease model, a farm animal, pet, or the like. In some cases, the animal is a primate, for example a human. A subject may be treated with an effective amount of a compound disclosed herein, or with a combination of a compound disclosed herein and a suitable AO, each of which is designed to block a splicing event of interest. An "effective amount" of a compound (or combination) disclosed herein is an amount that is effective to elicit a measurable amount of biological activity, e.g. a measurable amount of enhancement of exon skipping (in some embodiments in the absence of AOs, and in some embodiments in the presence of a suitable AO). Preferably, an effective amount of a compound or combination disclosed herein does not elicit substantial amounts of undesirable (e.g., toxic) effects. The enhancement can occur prophylactically (e.g. preventively, to inhibit the development of the disorder), or in a subject who already has the condition. For example, treatment by a method disclosed herein can ameliorate one or more symptoms of the condition. A skilled worker will recognize a variety of conditions that can be treated. A probabilistic analysis indicated that over 60% of human disease-causing mutations affect splicing rather than directly affecting coding sequences (Lopez-Bigas et al. (2005) FEBS Letters 579, 1900-3). See also Wang et al. (2007), Splicing in disease: disruption of the splicing code and the decoding machinery, Nature Reviews Genetics 8, 749-761 and Singh et al. (2012), Pre-mRNA splicing in disease and therapeutics, Trends in Molecular Medicine 18, (8), 472-482. Diseases associated with aberrant splicing or missplicing that can be inhibited by a method disclosed include e.g. beta-thalassemia and certain forms of cancers. Alternatively, exon skipping by a method of the disclosure can remove exons that contain mutations which are associated with diseases, such as mutations that alter the reading frame of the protein encoded by an mRNA. These conditions include, e.g., DMD, as described above (changing DMD dystrophin to a more functional form of dystrophin, in effect converting Duchenne MD into Becker MD). A method for treating a subject that has Duchenne muscular dystrophy (DMD), or is a non-human model of DMD, may comprise administering to the subject an effective amount of small molecule selected from the compounds shown in Table 1, in conjunction with an AO specific for modulating splicing of dystrophin pre-mRNA, such as one for exon 23, 44, 45, 50, 51, 52, or 53 of the DMD gene. The exon skipping can be either single or multi-exon skipping (e.g., skipping of many possible 2-10 exon combinations that will be evident to a skilled worker). Exons for which exon skipping can be therapeutic, for the treatment of muscular dystrophy and other conditions, will be evident to a skilled worker. There is a substantial literature on the design of specific exons in DMD and many thousands of other exons in the human genome potentially amenable to exon skipping. For instance, a nonsense mutation within an exon which if deleted would not alter the reading frame, may be able to be removed from the mature RNA by targeted removal by exon skipping. The possible exons in the human genome are too numerous to list. In the DMD gene alone, there are 79 exons and many sequences that can be used to partially block inclusion of a given exon (from exon 2-exon 78) that are therapeutically relevant. For example, in 2007, Wilton et al described a series of oligos that can skip single exons across the DMD gene. (Wilton et al (2007) Mol Ther. 15, 1288-1296). Other work by Pramono et al demonstrates oligo design principles (Pramono et al. (2012) Hum Gene Ther 23(7), 781-90). Malueka et al describe a decision metric for oligo targeting in DMD (Malueka et al (2012) BMC Genet. 13, 23). Popplewell, et al also describe design principles for the oligo component of the combined therapeutic described herein (Popplewell, et al (2012) Methods Mol Biol. 867, 143-67). Further, recently published work by Aoki, et al describe the skipping of multiple exons from exon 45-55 in mouse (Aoki, et al (2012) Proc Natl Acad Sci U S A. 109 (34), 13763-8). This is therapeutically relevant for human Duchenne therapy as well as up to 65% of all DMD affected individuals could be treated by this cocktail. Since the described invention works on multiple independent exons, it is expected that the chemical entities described herein will improve the removal of specific individual and sets of exons from the mature transcript in vivo and in vitro. The general field of AO design for DMD is described in Aarstma-Rus, 2012 and Lu, 2011. Further, the removal of exonic duplications (see Aartsma-Rus (2007), BMC Med Genet. 5, 8:43) commonly observed in DMD may also be improved by combination use with the compounds described herein. For reviews of conditions or diseases that can be treated, see, e.g., Bauman et al. (2011) Bioeng. Bugs. 2, 125-8, Hammond et al. (2011) Trends Genet. 27, 196-205, Wood et al. (2010) Brain 133, 957-72 or Sazani et al., "Splice-switching oligonucleotides as potential therapeutics" (2007) in Antisense Drug Technology: Principles, Strategies, and Applications, Second Edition (Ed. S.T.Crooke) 89-114 (CRC Press, Boca Raton). Among the diseases treatable by modulation of exon skipping are, e.g., spinal muscle atrophy (SMA), Hutchinson-Gilford progeria syndrome (HGPS), beta-thalassemia, Ataxia telangiectasia (ATM), dysferlinopathies, frontotemporal dementia and cystic fibrosis. 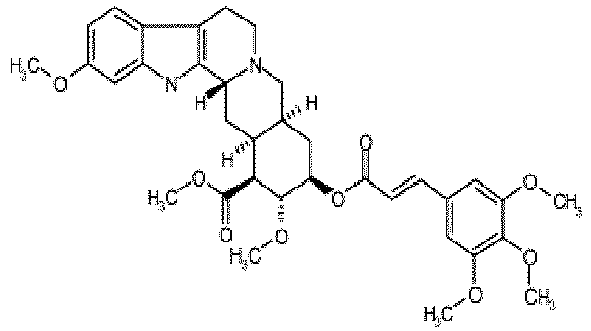 A compound disclosed herein may be administered to a subject, e.g. as part of an adjuvant treatment, or is contacted (e.g., in vitro) with a pre-mRNA target of interest, in conjunction with a suitable AO that is designed to specifically block a splicing event of interest. "In conjunction with" means that the AO can be administered before, or at the same time as, or after, the compound, and that the two components can be administered in separate delivery vehicles or in the same delivery vehicle. The two agents can be administered with the same, or different, dosage regimens. As used herein, the singular forms "a," "an," and "the" include plural referents unless the context clearly dictates otherwise. For example, "an" AO, as used above, means one or more AO molecules, which can be the same or different. A number of considerations are generally taken into account in designing delivery systems, routes of administration, and formulations for compounds or combinations of compounds and an AO disclosed herein. The appropriate delivery system for an agent disclosed herein will depend upon its particular nature, the particular clinical application, and the site of drug action. One skilled in the art can easily determine the appropriate dose, schedule, and method of administration for the exact formulation of the composition being used, in order to achieve the desired response in the individual patient. Any of a variety of conventional methods can be used to introduce AOs and/or small molecules disclosed herein into cells, in vitro or in vivo. These methods include, for example, transfection, electroporation, hydrodynamic "high pressure" delivery, nanoparticle delivery, liposomes, colloidal dispersal systems, or other methods known in the art. Intracellular AO delivery can be enhanced by conjugating cell penetrating peptides to the AO using methods and compounds known in the art. See, e.g., US patent 7468418 and PCT publications WO2009/005793 and WO2009/147368 . Compounds and AO's can be administered (delivered) to a subject by the same or by different modes of administration. Suitable modes of administration include, e.g., subcutaneous, intramuscular, intravenous, oral, intranasal, cutaneous, or suppository routes, depending on the formulation, the compound, and the condition to be treated. Compounds and AO's disclosed herein may be delivered via a variety of routes including all of the above routes, in dosing patterns that can be optimized with routine, conventional methods. The compounds may be administered chronically to subjects (patients) in conjunction with therapeutic antisense oligonucleodies. A compound may be administered frequently (e.g., daily or more frequently) to augment less frequent (e.g., monthly or weekly) administration, such as by intravenous or subcutaneous injection, of AO. Formulations for delivery by a particular method (e.g., solutions, buffers, and preservatives) can be optimized by routine, conventional methods that are well-known in the art. See, e.g., Remington's Pharmaceutical Sciences, 18th edition (1990, Mack Publishing Co., Easton, Pa).for guidance in suitable formulations. An "effective" dose of an agent disclosed herein (either a compound, or a compound in conjunction with an AO, or the AO), or composition thereof, is a dose that, when administered to an animal, particularly a human, in the context of the present disclosure, is sufficient to effect at least a detectable amount of a therapeutic response in the individual over a reasonable time frame. The exact amount of the dose (of a small molecule disclosed herein, used alone or in conjunction with an AO, or of the AO), will vary from subject to subject, depending on the species, age, weight and general condition of the subject, the severity or mechanism of any disorder being treated, the particular agent or vehicle used, its mode of administration and the like. The dose will also be a function of the exon that is being skipped/removed from the mature RNA and the sequence of the AO. The dose used to achieve a desired effect in vivo will be determined by the potency of the particular agent employed, the pharmacodynamics associated with the agent in the host, the severity of the disease state of infected individuals, as well as, in the case of systemic administration, the body weight and age of the individual. The size of the dose also will be determined by the existence of any adverse side effects that may accompany the particular inhibitory agent, or composition thereof, employed. It is generally desirable, whenever possible, to keep adverse side effects to a minimum. For example, a dose of a small molecule disclosed herein can range from about 4-10 mg/kg/day, or can be higher or lower. In general, the dose of a small molecule disclosed herein is one, or close to one, which has been shown to be safe for subjects, such as human patients. Dantrolene, for example, has been shown to be safe when administered to humans up to 8 mg/kg/day during long term administration. Suitable oral doses of Dantrolene include doses of about 4-10, e.g. about 6-8, mg/kg/day. An example herein shows a functional benefit (wire hang test in mdx mice) using 10 mg/kg/week of the oligo AON23 and dantrolene at 10 mg/kg/day compared to 10 mg/kg/week of the AON23 alone (p=0.022). Dosages for administration of a therapeutic agent disclosed herein can be in unit dosage form, such as a tablet or capsule. The term "unit dosage form" as used herein refers to physically discrete units suitable as unitary dosages for human and animal subjects, each unit containing a predetermined quantity of an inhibitor disclosed herein, alone or in combination with other therapeutic agents, calculated in an amount sufficient to produce the desired effect in association with a pharmaceutically acceptable diluent, carrier, or vehicle. A method for identifying a small molecule compound that enhances exon skipping in an mRNA of interest may comprise testing candidate small molecules, such as variants of a compound in Table 1, for their ability to enhance exon skipping in the mRNA, and selecting compounds which exhibit greater enhancement activity than the compound from Table 1. The screening method can be carried out in the absence of, or in conjunction with, an AO specific for a splicing sequence of the exon that is to be skipped. The method may comprise contacting a suitable cell (in vitro or in vivo) with a putative small molecule compound, such as a variant of one of the compounds of Table 1, and measuring the amount of splicing or, in one embodiment, of exon skipping, of interest. Any of the assays discussed herein can be adapted to such a screen. The amount of splicing or exon skipping can be compared to a control value. For example, for an assay which is conducted in the absence of an AO, the control can be a cell that has not been contacted with the compound. For an assay which is conducted in the presence of a suitable AO, the control can be a cell that is contacted with the AO but not the putative compound. A statistically significant decrease in the amount of splicing or increase in the amount of exon skipping in the test cells compared to the control is indicative that the putative compound is superior to the compound from which it has been derived, or to a suitable arbitrarily selected control compound. As Dantrolene has a known molecular target, the ryanodine receptor which it binds directly, other agents that modify the activity of the ryanodine receptor are likely to have the same effect. For instance, a class of agents called 'RyCals' or 'calcium channel stabilizers' which stabilize the interaction of calstabin with ryanodine receptor and effectively block ryanodine receptor calcium leak are expected to have a similar effect as Dantrolene. See, e.g., Andersson et al. (2010) Drug Discov Today Dis Mech 7, 3151-e157 or Wehrens et al. (20050 Proc Natl Acad Sci USA 102, 9607-12. Suitable variant compounds that can be tested will be evident to a skilled worker. For example, a substituent on, e.g., an aromatic or non-aromatic carbon can be substituted with H, alkyl, alkoxy, hydroxyalkyl, thioalkyl, haloalkyl, aminoalkyl, alkoxyalkyl, alkylaminoalkyl, etc. Some suitable variants are discussed below. Others will be evident to a skilled worker. Suitable (e.g., improved) variant compounds that are identified by such a screen are also included in the disclosure, and are sometimes referred to herein as "active variants" of the compounds. An "active variant," as used herein, refers to a compound which retains at least one activity of the compound of which it is a variant, e.g. the ability to block splicing of an exon of interest. The terms "alkyl" used alone or as part of a larger moiety (i.e. "alkoxy," "hydroxyalkyl," "alkoxyalkyl," and "alkoxycarbonyl") include both straight and branched chains containing one to ten carbon atoms (i.e. 1, 2, 3, 4, 5, 6, 7, 8, 9, or 10 carbon atoms), as well as cyclic structures such as cyclopropyl and cyclobutyl. Examples of alkyl groups include methyl (Me), ethyl (Et), propyl (Pr) (including n-propyl (nPr or n-Pr), isopropyl (iPr or i-Pr) and cyclopropyl (cPr or c-Pr)), butyl (Bu) (including n-butyl (nBu or n-Bu), isobutyl (iBu or i-Bu), tert-butyl (iBu or t-Bu) and cyclobutyl (cBu or c-Bu)), pentyl (Pe) (including n-pentyl) and so forth. Alkyl groups also include mixed cyclic and linear alkyl groups, such as cyclopentylmethyl, cyclopentylethyl, cyclohexylmethyl, etc., so long as the total number of carbon atoms is not exceeded. The term "alkoxy" refers to an -O-alkyl radical, such as, for example -O-Me, -O-Et, -O-Pr, and so on. The term "hydroxyalkyl" refers to an alkyl group substituted with one or more hydroxyl, such as, for example, hydroxymethyl, 1-hydroxyethyl, 2-hydroxyethyl, 1,2-dihydroxyethyl, and so forth. The term "thioalkyl" refers to an -S-alkyl group, such as, for example, example -S-Me, -S-Et, -S-Pr. 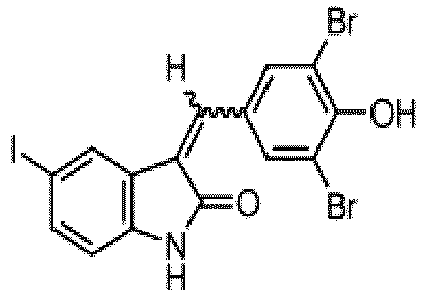 The term "haloalkyl" means alkyl, substituted with one or more halogen atoms, such as trifluoromethyl, chloromethyl, 2,2,2-trifluoroethyl, 1,1,2,2,2,-petanfluoroethyl, and so on. The term "aminoalkyl" means alkyl, substituted with an amine group (NH2), such as, for example, aminomethyl, 1-aminoethyl, 2-aminoethyl, 3-aminopropyl and so forth. The term "alkoxyalkyl" refers to an alkyl group, substituted with an alkoxy group, such as, for example, methoxymethyl, ethoxymethyl, methoxyethyl, and so forth. As used herein, the term "alkylaminoalkyl" refers to an alkyl group substituted with an alkylamine group, such as, for example, N-methylaminomethyl, N,N-dimethylaminomethyl, N,N-methylpentylaminomethyl, 2-(N-methylamino)ethyl, 2-(N,N-dimethylamino)ethyl, and so forth. The term "halogen" or "halo" means F, Cl, Br, or I. The term "nitro" means (-NO2). 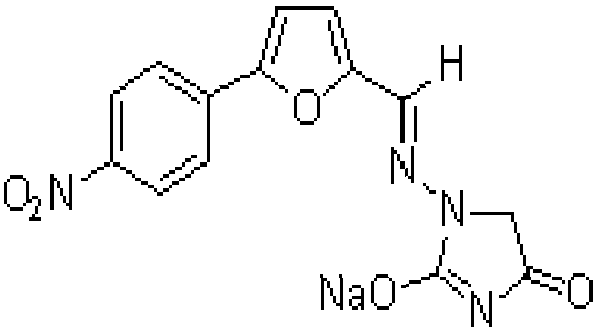 The term "amine" or "amino" used alone or as part of a larger moiety refers to unsubstituted (-NH2). The term "alkylamine" refers to mono- (-NRH) or di-substituted (-NR2) amine where at least one R group is an alkyl substituent, as defined above. Examples include methylamino (-NHCH3), dimethylamino (-N(CH3)2). The term "arylamine" refers to a mono (-NRH) or di-substituted (-NR2) amine, where at least one R group is an aryl group as defined below, including, for example, phenylamino, diphenylamino, and so forth. The term "heteroarylamine" refers to a mono (-NRH) or di-substituted (-NR2) amine, where at least one R group is a heteroaryl group as defined below, including, for example, 2-pyridylamino, 3-pyridylamino and so forth. The term "aralkylamine" refers to a mono (-NRH) or di-substituted (-NR2) amine, where at least one R group is an aralkyl group, including, for example, benzylamino, phenethylamino, and so forth. The term "heteroaralkylamine" refers to a mono (-NRH) or di-substituted (-NR2) amine, where at least one R group is a heteroaralkyl group. As used herein, the term "alkylaminoalkyl" refers to an alkyl group substituted with an alkylamine group. Analogously, "arylaminoalkyl" refers to an alkyl group substituted with an arylamine, and so forth, for any substituted amine described herein. The term "alkenyl" used alone or as part of a larger moiety include both straight and branched chains containing at least one double bond and two to ten carbon atoms (i.e. 2, 3, 4, 5, 6, 7, 8, 9, or 10 carbon atoms), as well as cyclic, non-aromatic alkenyl groups such as cyclopropenyl, cyclobutenyl, cyclopentenyl, cyclopentadienyl, cyclohexenyl, cyclohexadienyl, etc. As used herein, alkenyl groups also include mixed cyclic and linear alkyl groups, such as cyclopentenylmethyl, cyclopentenylethyl, cyclohexenylmethyl, etc., so long as the total number of carbon atoms is not exceeded. When the total number of carbons allows (i.e. more than 4 carbons), an alkenyl group may have multiple double bonds, whether conjugated or nonconjugated, but do not include aromatic structures. Examples of alkenyl groups include ethenyl, propenyl, butenyl, butadienyl, isoprenyl, dimethylallyl, geranyl and so forth. The term "aryl" used alone or as part of a larger moiety, refers to mono-, bi-, or tricyclic aromatic hydrocarbon ring systems having five to fourteen members, such as phenyl, 1-naphthyl, 2-naphthyl, 1-anthracyl and 2-anthracyl. The term "aryl" may be used interchangeably with the term "aryl ring". 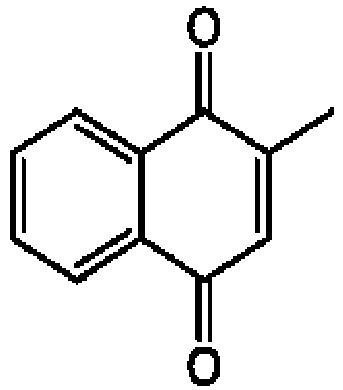 "Aryl" also includes fused polycyclic aromatic ring systems in which an aromatic ring is fused to one or more rings. Examples include 1-naphthyl, 2-naphthyl, 1-anthracyl and 2-anthracyl. Also included within the scope of the term "aryl", as it is used herein, is a group in which an aromatic ring is fused to one or more non-aromatic rings, such as in an indanyl, phenanthridinyl or tetrahydronaphthyl, where the radical or point of attachment is on the aromatic ring. The term "aralkyl" refers to an alkyl substituent substituted by an aryl group. The term "aryloxy" refers to an -O-aryl group, such as, for example phenoxy, 4-chlorophenoxy and so forth. The term "arylthio" refers to an -S-aryl group such as, for example phenylthio, 4-chlorophenylthio, and so forth. The term "aryl" used alone or as part of a larger moiety also refers to aryl rings that are substituted such as, for example, 4-chlorophenyl, 3,4-dibromophenyl and so forth. An aryl group may have more than one substituent, up to the total number of free substitution positions. For example, an aryl group may have 1, 2, 3, 4, or 5 substituents. The substituents may the same or different. Substituents on an aryl group include hydrogen, halogen, alkyl, alkenyl, nitro, hydroxyl, amino, alkylamino, alkoxy, and alkylthio, O-acyl, N-acyl, S-acyl as defined herein. The term "heteroaryl", used alone or as part of a larger moiety, refers to heteroaromatic ring groups having five to fourteen members, preferably five to ten, in which one or more ring carbons, preferably one to four, are each replaced by a heteroatom such as N, O, or S. Examples of heteroaryl rings include 2-furanyl, 3-furanyl, N-imidazolyl, 2-imidazolyl, 4-imidazolyl, 5-imidazolyl, 3-isoxazolyl, 4-isoxazolyl, 5-isoxazolyl, 2-oxadiazolyl, 5-oxadiazolyl, 2-oxazolyl, 4-oxazolyl, 5-oxazolyl, 1-pyrrolyl, 2-pyrrolyl, 3-pyrrolyl, 1-pyrazolyl, 3-pyrazolyl, 4-pyrazolyl, 2-pyridyl, 3-pyridyl, 4-pyridyl, 2-pyrimidyl, 4-pyrimidyl, 5-pyrimidyl, 3-pyridazinyl, 2-thiazolyl, 4-thiazolyl, 5-thiazolyl, 5-tetrazolyl, 2-triazolyl, 5-triazolyl, 2-thienyl, 3-thienyl, carbazolyl, benzimidazolyl, benzothienyl, benzofuranyl, indolyl, quinolinyl, benzotriazolyl, benzothiazolyl, benzooxazolyl, benzimidazolyl, isoquinolinyl, indazolyl, isoindolyl, acridinyl, or benzoisoxazolyl. Also included within the scope of the term "heteroaryl", as it is used herein, is a group in which a heteroaromatic ring is fused to one or more aromatic or nonaromatic rings where the radical or point of attachment is on the heteroaromatic ring. 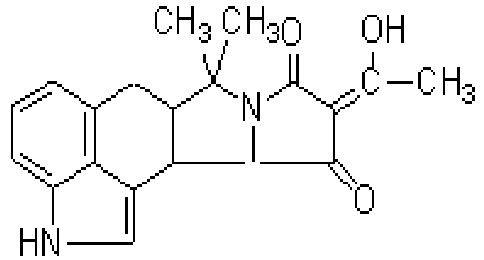 Examples include tetrahydroquinolinyl, tetrahydroisoquinolinyl, and pyrido[3,4-d]pyrimidinyl. The term "heteroaryl" may be used interchangeably with the term "heteroaryl ring" or the term "heteroaromatic." The term "heteroaralkyl" refers to an alkyl group substituted by a heteroaryl, such as, for example, 2-pyridylmethyl, 3-pyridylmethyl, 1-imidazolomethyl, 2-imidazolomethyl and so forth. The term "heteroaryloxy" refers to an -O-heteroaryl group. The term "heteroarylthio" refers to an -S-aryl group. A heteroaryl group may have more than one substituent, up to the total number of free substitution positions. For example, a heteroaryl group may have 1, 2, 3, 4, or 5 substituents. The substituents may the same or different. Substituents on a heteroaryl group include hydrogen, halogen, alkyl, alkenyl, nitro, hydroxyl, amino, alkylamino, alkoxy, and alkylthio, O-acyl, N-acyl, S-acyl as defined herein. The term "O-acyl" refers to an "-O-C(O)-alkyl," "-O-C(O)-aryl," or "-O-C(O)-heteroaryl" group. The term "N-acyl" refers to an "-NR-C(O)-alkyl," "-NR-C(O)-aryl," or "-NR-C(O)-heteroaryl" where R is an alkyl, hydroxyl, or alkoxy group. The term "S-acyl" refers to "-S-C(O)-alkyl," "-S-C(O)-aryl," or "-S-C(O)-heteroaryl." The term "N-O-acyl" refers to an "N-O-C(O)-alkyl," "N-O-C(O)-aryl," or "N-O-C(O)-heteroaryl" group. As used herein, a "substituted" structure refers to a chemical structure where a hydrogen atom has been replaced by a substituent. A "substituent" is a chemical structure that replaces a hydrogen atom on the substituted structure. The term "substituent" does not imply that the substituent is smaller than the substituted structure. A combination for enhancing exon skipping in an mRNA of interest may comprise a furaltadone hydrochloride and an AO that is specific for an exon that is to be skipped, and, optionally, a pharmaceutically acceptable carrier. The combination may comprise a dosage form of furaltadone hydrochloride and a dosage form of an AO that is specific for the exon which is to be skipped. Suitable pharmaceutically acceptable carriers will be evident to a skilled worker. For guidance, see, e.g., Remington's Pharmaceutical Sciences (supra). Also disclosed herein is a kit for carrying out one of the methods disclosed. For example, a kit for enhancing exon skipping in a pre-mRNA of interest can comprise a compound from Table 1 and an AO that is specific for an exon splicing sequence in the mRNA of interest. A kit for enhancing exon skipping in a muscle dystrophin mRNA in a subject that has Duchenne Muscular Dystrophy (DMD), in an animal model of DMD, or in an animal that is not necessarily an animal model for DMD, such as a monkey, can comprise a dosage form of a compound of Table 1 and a dosage form of an AO that is specific for the exon which is to be skipped. A kit disclosed herein can comprise a device, composition, or other means for administering the agents disclosed herein to a subject. A kit suitable for a therapeutic treatment in a subject may further comprise a pharmaceutically acceptable carrier and, optionally, a container or packaging material. Optionally, the kits comprise instructions for performing the method, and/or a notice in the form prescribed by a governmental agency regulating the manufacture, use or sale of pharmaceuticals or biological products (such as the FDA), which notice reflects approval by the agency of manufacture, use or sale for human administration. In addition, agents in a kit disclosed herein may comprise other therapeutic compounds, for combination therapy. Other optional elements of a kit disclosed herein include suitable buffers, pharmaceutically acceptable carriers, or the like, containers, or packaging materials. The reagents of the kit may be in containers in which the reagents are stable, e.g., in lyophilized form or stabilized liquids. The reagents may also be in single use form, e.g., in single dosage form for use as therapeutics, or in single reaction form for diagnostic use. Methods for making and using antisense and/or small molecule reagents, and for testing them for desirable properties, are conventional and well-known in the art. Guidance in performing some of the methods of the disclosure is provided, for example, in Sambrook et al., Molecular Cloning, A Laboratory Manual (volumes I-III), Cold Spring Harbor Laboratory Press, USA or Harlowe and Lane, Antibodies a Laboratory Manual 1988 and 1998, Cold Spring Harbor Laboratory Press, USA. In the foregoing and in the following examples, all temperatures are set forth in uncorrected degrees Celsius; and, unless otherwise indicated, all parts and percentages are by weight. In this Example, we describe the implementation of a strategy to identify compounds that synergize with AO to promote exon skipping and the follow-up of a lead hit, dantrolene, in mutation repair of specific mouse and human models of Duchenne muscular dystrophy in vitro and in vivo. In contrast to prior screens aimed at identifying small molecules which impact exon skipping, our screen is unique at least because it relies on robust quantitation of a skipping reporter in the context of a muscle lineage cell in the presence and absence of suboptimal AO. These screens were performed using a mouse muscle cell line (C2C12) expressing a human DMD exon 50 GFP based reporter  selected to minimize experimental variation and sensitivity in the context of an automated and quantitative fluorescent scanning system. High throughput screening was carried out to identify dantrolene as a modulator of antisense oligo (AO) mediated human DMD exon 50 skipping. Small molecule libraries were screened for exon skipping promoting activity in C2C12 myoblasts expressing a human DMD exon 50 GFP based reporter . Using an automated and quantifiable system the BioMol chemical library (n=503) was screened at 10uM concentration both in the presence and absence of 2'-O-methyl 27-mer AO [5' AACUUCCUCUUUAACAGAAAAGCAUAC 3', (SEQ ID NO:1)] targeting the splice donor site of human DMD exon 50. In the reporter cells, successful skipping of DMD exon 50 creates in-frame GFP expression. Number of cells that were fluorescing was quantified using a high content cell imager in 384 well plate format. Fluorescence was normalized by subtracting the average fluorescence value of the carrier (DMSO) controls. Fluorescence readouts are plotted for the BioMol library screen both with (+AO) and without (-AO) from Source Plate 1 (containing the Orphan Ligand, Ion Channel, Enzyme Inhibitor, and Endocannabanoid libraries, n=300). Each point for the DMSO controls, all compounds, and the Top 5% from Source Plate 1 (n=15) represents the average normalized fluorescence of 6 replicates in the -AO screen and 3 replicates in the +AO screen. In the with AO screen, dantrolene had three fluorescence measurements that were averaged, and this average compared to the average fluorescence of the other compounds in the top 15 (top 5%) of the screen. Dantrolene was identified to have statistically significantly enhanced exon skipping activity in the screen +AO, while its activity was indistinguishable from the DMSO controls in the -AO screen. The BioMol small molecule library (n=503) was screened at an effective concentration of 10uM (dissolved in DMSO) for all compounds both in the presence and absence of 2'-O-methyl AO (AON6) targeting the splice donor site of human DMD exon 50. AO was added prior to small molecule incubation in an effort to identify molecules that facilitate AO skipping rather than AO delivery. The fluorescence induced by each compound was normalized to a vehicle controls per plate to correct for plate to plate variability. Fluorescence was averaged across replicate plates (n=6 without AO screen, n=3 with AO screen). Compounds were rank ordered based on average intensity of fluorescence and difference between the without AO and with AO screen (Table 2). The lipid library component of the BioMol library had high variability and these compounds were not analyzed. Within the top 5% of compounds from the remaining BioMol library screened in the context of AO, there was a significant over-representation of compounds modulating intracellular calcium, including dantrolene and ryanodine, both known to target the ryanodine receptor. (Z=5.49; Table 3). We found this intriguing given that calcium signaling has been previously identified as a modulator of mRNA splicing machinery in other settings . Table 2. Top 5% of compounds from the BioMol high throughput screen either with or without AON6. Compounds were rank ordered based on the average normalized fluorescence and the top 5% (n=15) from source plate 1 are given for the with and without AO high throughput screen. 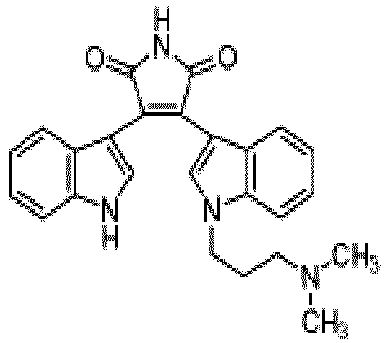 H-7 29.03 30.45 12.11 23.87 10.20 Enzyme Inhibitor Inhibits PKA, PKG, MLCK, and PKC. 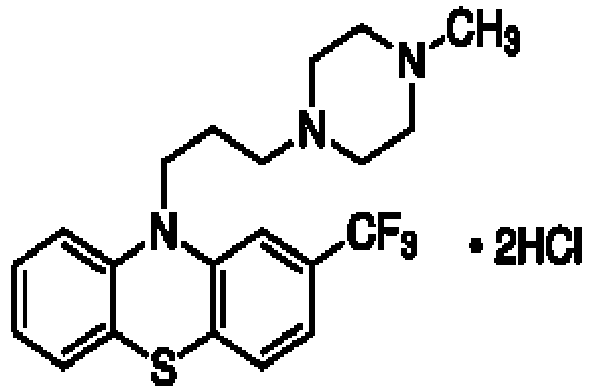 U-0126 17.87 35.65 16.65 23.39 10.63 Enzyme Inhibitor MEK inhibitor. 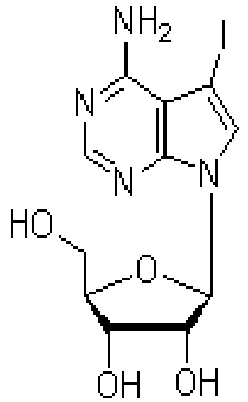 AG-494 19.38 25.36 25.25 23.33 3.42 Enzyme Inhibitor Tyrosine kinase inhibitor. TYRPHOSTIN 46 8.61 30.70 14.09 17.80 11.50 Enzyme Inhibitor EGF receptor kinase, p56, and PDGF receptor kinase inhibitor. 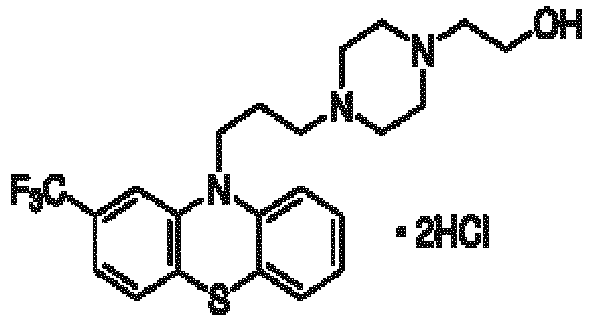 AG-825 17.24 23.38 11.53 17.38 5.93 Enzyme Inhibitor HER1-2 tyrosine kinase inhibitor. 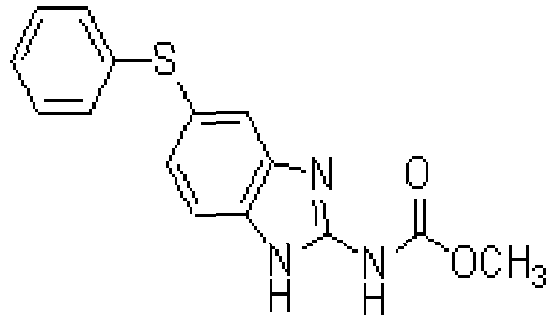 AG-490 7.17 30.27 13.54 16.99 11.93 Enzyme Inhibitor JAK-2 tyrosine kinase inhibitor. GF 109203X 22.19 15.01 13.67 66.78 64.46 68.48 41.76 27.36 Enzyme Inhibitor Protein kinase C inhibitor. 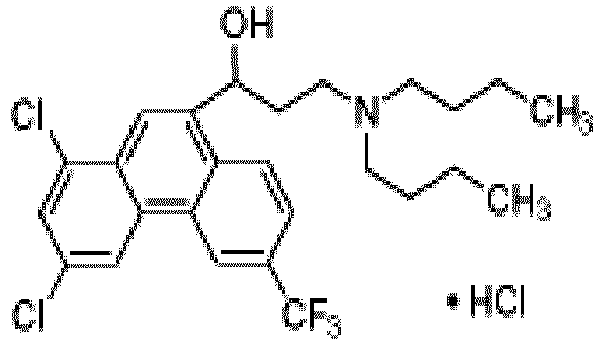 Ro 31-8220 17.56 50.61 46.79 38.49 31.21 34.94 36.60 11.81 Enzyme Inhibitor Protein kinase C inhibitor. 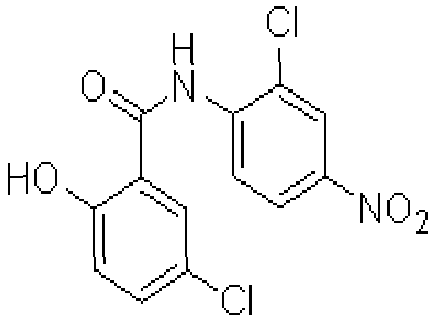 INDIRUBIN 4.64 -0.42 6.43 89.35 3.42 3.88 17.88 35.08 Enzyme Inhibitor GSK-3beta and CDK5 inhibitor. 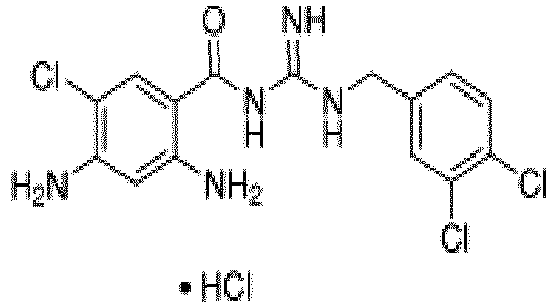 5-IODOTUBERCIDIN -0.41 6.65 9.13 18.27 30.70 6.10 11.74 11.08 Enzyme Inhibitor Inhibits ERK2, adenosine kinase, CK1, CK2, and insulin receptor kinase. 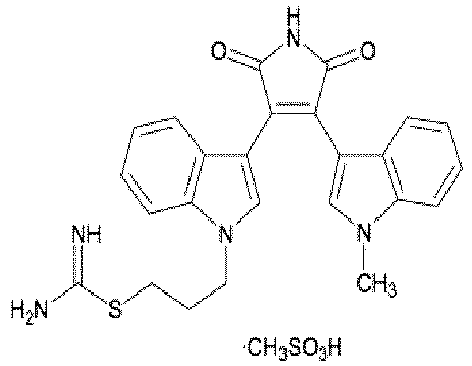 AG-879 1.23 3.24 3.46 6.94 8.93 2.08 4.31 2.99 Enzyme Inhibitor Tyrosine kinase inhibitor. 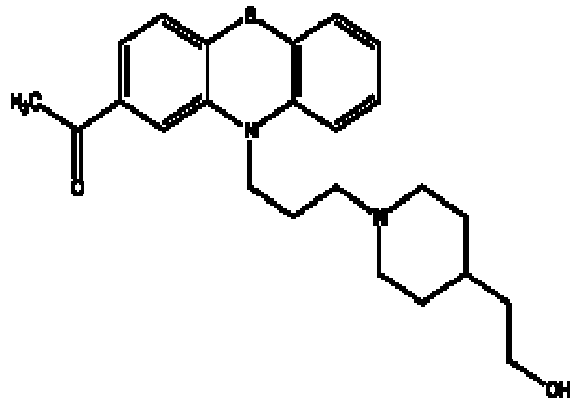 CANTHARIDIN 11.40 -1.04 0.63 5.55 4.34 4.45 4.22 4.33 Enzyme Inhibitor PP1 and PP2A inhibitor. 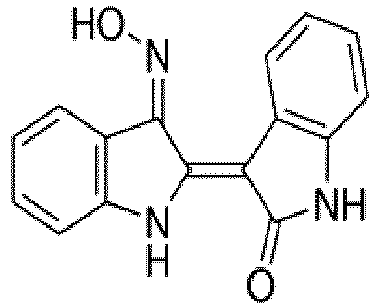 AG-494 5.92 1.23 1.65 7.58 3.54 5.26 4.20 2.50 Enzyme Inhibitor Tyrosine kinase inhibitor. Table 3. Compounds that affect intracellular calcium levels are overrepresented in the top 5% in the BioMol with AON6 high throughput screen. Library subsets are overrepresented in the Top 5% of the BioMol screen both with and without AO as determined by analyzing the rate of appearance in randomly selected subsets (N=20; 15 elements per subset). Biomol with AO screen has an enrichment of intracellular calcium channels (5 standard deviations above what is expected given random sampling) whereas BioMol without AO screen has a slight over-representation of the enzyme inhibitor library (2 standard deviations above what is expected given random sampling). Eight of the top nine top hits from the screen with AO were screened in a secondary assay with 12 or 16 point titrations using the Ex50-GFP reporter C2C12 cells in the presence or absence of AON6. Secondary screening was performed on 8/15 compounds to evaluate synergy with AON6 to enhance human exon 50 skipping. 12 or 16 point titrations of compounds were added to the Ex50-GFP and C2C12 myoblasts either with or without AON6. To be considered positive compounds must exhibit a dose response and > 10% increased fluorescence in the Ex50-GFP reporter line with AO as compared to the without AO condition. Of the 8 compounds that were selected for secondary screening only 3 exhibited: 1) 10% increase in fluorescence in the Ex50-GFP+AO compared to the reporter line without AO and 2) evidence of a dose response. 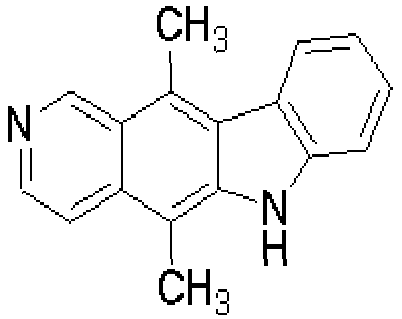 These three compounds were cyclopiazonic acid, dantrolene, and H-7. Dantrolene was of high interest given that it is the only FDA approved drug of the 3 and is still currently being used as a chronic treatment for malignant hyperthermia and muscle spasticity [20, 21]. Additionally, a previous study investigated oral dantrolene as a potential therapy for DMD patients, based on its potential to rectify calcium signaling defects in DMD muscle, and found that after 2 years of daily treatment creatine kinase levels slightly reduced, and there was a modest improvement on the manual muscle test without substantial harmful side effects . Dantrolene treatment of mdx mice has similarly been reported to lower CK values . Therefore, dantrolene was an attractive first candidate to evaluate the effects on exon skipping in vivo in mdx mouse and in the context of human DMD mutations. Variants or alternative formulations of dantrolene are also shown herein to be effective, or would be expected by skilled workers to be effective. 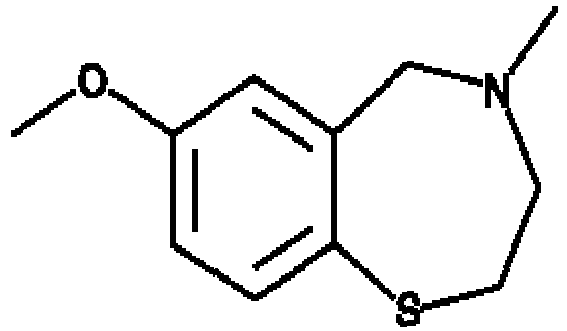 These include, e.g., Revonto, azumolene (which is more water soluble than dantrolene), and others. We showed that Dantrolene synergizes with AO to increase DMD exon skipping in mouse and human DMD mutant cells. (A) Differentiated primary mouse myotubes were transfected either with 100nM 2'-O-methyl M23D, which targets exon 23 splice donor region or mock transfected for 24 hours after which the transfection reagent was removed, and myotubes were treated with different concentrations of Dantrolene for 48 hours. Nested RT-PCR was performed on cDNA between exons 20-26, as previously described . The 901bp band is the full-length mRNA product, the 688bp mRNA product is a single skip of exon 23, and the 550bp mRNA product is a double skip of exons 22 and 23. (B) Mouse Dmd exon 23-skipped transcript levels were quantified using a taqman assay with primer-probe sets spanning the splice junction created by an exon 23 skip (22-24 join) relative to primers amplifying the splice junction of exons 22 and 23 (representing the full length mRNA), as previously described . Data from each primer-probe set was normalized to the ribosomal gene 36B4, and the ratios are displayed as the fold change of the skip/full length mRNA levels relative to the mock treated controls. Error bars represent standard deviation of qRT-PCR triplicates. (C) Patient derived fibroblasts with exon 45-50 deletion (confirmed by microarray, see Fig. 1) were immortalized with lentiviral hTERT and transduced with inducible lentiviral MyoD . Cells were grown to confluence, induced for MyoD activity, and fused for 10 days in low serum differentiation media. On Day 7, h51AON [5' UCAAGGAAGAUGGCAUUUCU 3'] (same sequence as Pro051) within human exon 51 was added at concentrations indicated. Twenty-four hours later Dantrolene or vehicle was added. Cells were harvested 2 days later and total RNA isolated. RT-PCR amplified a fragment of cDNA from exons 42-53 which was followed by a nested PCR to generate a fragment spanning exons 43-52. The 540bp product is the full length DMD mRNA species and the 307bp product indicates the exon 51 skip isoform. Quantitation was performed using the Agilent Bioanalyzer and represented as the skip/full-length mRNA ratio. Dantrolene enhancement of AO directed DMD exon skipping was assessed in both mouse and human primary muscle cell systems in vitro. In primary fused mouse myotubes dantrolene synergized with a 2'-O-methyl AO M23D (overlapping splice donor site from +02-18) to enhance Dmd exon 23 skipping. Increasing concentrations of M23D shifted the Dmd mRNA species from an unskipped form to either exon 23 skipped or dual 22 and 23 skipped forms, both of which are in frame and lack exon 23 which contains the mdx premature stop mutation. A sub-optimal dose of M23D AO was established as 100nM in order to approximate a dose that generates 20% of optimal skipping in fused myotubes, and used to measure potentiation of exon 23 skipping. Optimal skipping was typically achieved in a dose range of 200-600nM M23D. After incubation with suboptimal M23D, the complex was removed, and 25-50uM dantrolene was added for a sufficient time to allow for the complete transcription of new Dmd mRNA species . RNA was extracted and the mRNA from exons 20-26 was assessed for exon 23 skipping by RT-PCR. Dantrolene increased the amount of exon 23 skipped product at both 25 and 50uM concentrations. Dmd exon 23 skipping was quantitated in these same RNA samples in a taqman based assay with primer-probe sets spanning the Dmd splice junctions of exons 22-24 (exon skip specific junction) and exons 22-23 (full length specific junction). Data from each primer-probe set were normalized to the ribosomal gene 36B4, and the ratios are displayed as the fold change of the skip/full length mRNA levels relative to the mock treated controls . Dantrolene increased Dmd exon 23 skipping 3 fold in combination with the suboptimal dose of 100nM AO M23D as compared to mouse myotubes treated with AO alone. Addition of dantrolene in the absence of AO failed to cause exon 23 skipping, consistent with it acting synergistically with AO to promote exon 23 skipping. Dantrolene treatment also increased DMD exon skipping in a disease relevant human mutational context using reprogrammed primary DMD patient fibroblasts fused to differentiated myotubes. The patient DMD mutation was confirmed as an exon 45-50 deletion predicted to be rendered in frame by skipping DMD exon 51, using a custom 15,000 probe CGH array ( Fig. 1 ). Patient fibroblasts were transduced with HTERT and an inducible MyoD vector . Following tamoxifen induction of MyoD activity and subsequent fusion, the DMD patient derived cells became multi-nucleated and expressed multiple muscle differentiation markers including MHC, myogenin, RyR1 and (mutant) dystrophin at the RNA and/or protein level within six days ( Fig. 2 ), further validating this human DMD culture model. Exon 51 skipping activity was assessed in the context of transfecting an exon 51 2'-O-methyl AO with equivalent sequence to Pro051 seven days after fusion. This AO is directed at an exonic splicing enhancer (ESE) sequence within exon 51. The AO was removed prior to addition of dantrolene and cultures were harvested two days later. A nested RT-PCR was performed between DMD exons 43-52 and levels of exon 51 skipping were determined by quantitating capillary electrophoresis separated fragments representing skipped and unskipped DMD mRNA. We found that dantrolene enhanced exon 51 skipping in the presence of the suboptimal dose of AO by up to 8 fold as compared to the vehicle control. Therefore, dantrolene exhibits synergy with two different AOs, targeting differing regions of the DMD mRNA transcript consisting of a splice donor site or potential ESE sequence, in both human and mouse myotube cell culture. Dantrolene's effectiveness regardless of sequence specificity of the AO could be potentially useful given the wide spectrum of treatable mutations that require various AO sequences. Thus, the versatility of dantrolene gives it a wide range of applicability in a clinical setting. To assess the efficacy of dantrolene as a potentiator of AO mediated exon skipping in an art-recognized in vivo mouse model of DMD, we utilized two separate experimental protocols in which dantrolene was administered systemically in the context of either a single intramuscular or single intravenous injection of AO in mdx mice. See Figure 10 for a schematic representation of one such protocol. Dantrolene was shown to enhance intramuscularly injected AO DMD mRNA skipping and dystrophin protein expression in mdx mice. One dose of either 10ug or 2ug of morpholino M23D in 25ul PBS was injected into the tibialis anterior (TA) of 6 week old mdx mice on day 1 (n=3 per group). Dantrolene was administered by intraperitoneal injection at either 10 or 20mg/kg/day for 9 days in a volume of 200ul every 12 hours. Dantrolene was solubilized in 20% DMSO in normal saline. TA muscle was harvested on Day 11 and immediately frozen in Optimal Cutting Temperature compound (O.C.T.) embedding medium. Serial sections along the TA with intervals 800 microns apart were processed to perform assessments within the TA region with maximal AO delivery. There were 6-7 intervals per TA, and the middle 4 intervals demonstrated exon skipping in treated TA. (A) For Western blot analysis, half of each of the 4 middle intervals were pooled. Dystrophin protein was detected using MANDYS8 (exons 31 and 32) antibody. Control C57 was loaded at 5ug/well, and 50ug/wellwas loaded for other mdx samples. (B) Western blot was quantified by densitometry and plotted as arbitrary densitometry units normalized to vinculin loading control. (C) Immunostaining for dystrophin localization was performed using MANDYS8 of 10um sections from representative middle sections of the TA, and is consistent with sarcolemmal staining. (D) Data from whole muscle cross sections from C were quantified as total fluorescence, without inclusion of edges with artifactual staining, normalized to surface area scanned. Data were plotted as percent of C57 as control (set at 100). Images were analyzed using Ariol SL-50 (Applied Imaging Corp., San Jose, CA). Dantrolene was shown to enhance intravascularly delivered exon 23 AO to promote exon 23 skipping of Dmd mRNA in mdx mice and rescues dystrophin protein and other DGC components. A systemic dose of 100mg/kg or sub-optimal 10mg/kg of morpholino M23D (+07-18) was administered by tail vein injection on Day 1. From Day 2-7 Dantrolene was administered intraperitoneally at a dose of 10mg/kg/day in two divided doses. On Day 8 multiple muscles were harvested for analysis. (A) DMD exon 23 skipping was assessed as above. Skip/full-length mRNA ratio data were combined for all mice and for all initial muscle groups tested (quadricep, gastrocnemius, tibialis anterior and diaphragm). (B) Dystrophin protein was assessed by Western blot (Mandys8) quantitative densitometry for all muscle groups and individual mice (quadricep, gastrocnemius, tibialis anterior and diaphragm). (C) Quantitative immunohistochemistry is plotted as arbitrary units normalized to surface area for each section for all muscle groups and mice using one whole muscle cross section per animal per muscle. (D) Representative Western blot from the gastrocnemius demonstrating appropriate size of dystrophin. C57 was loaded at one tenth the protein concentration of the other lanes. (E) Immunostaining of serial sections of treated mdx quadricep detects sarcolemmal localization of dystrophin(MANDYS8), alpha-sarcoglycan (NCL-a-sarc) and beta-dystroglycan (NCL-b-DG). Additional immunostain photomicrographs are shown in figure 3 of individual muscle types. Error bars in A-C represent the standard deviation among mice and muscles in each group (n=3 animals or n=12 total observations in saline+dantrolene and 100mg/kg AO+DMSO; n=4 animals or n=16 observations in 10mg/kg AO with Dantrolene or DMSO). Initially drug synergy was assessed with local intramuscular injections of morpholino AO PMOE23 (overlapping with exon 23 splice donor site +07-18) into the tibialis anterior muscle (TA) of mdx mice. Previous studies indicate that 10ug of PMOE23 rescues up to 70% of dystrophin positive fibers as assessed by dystrophin immunostain . Therefore, 10ug PMOE23 was used as a positive control and 2ug selected as a sub-optimal dose of AO. To evaluate if dantrolene could facilitate exon 23 skipping and restore dystrophin protein expression by synergizing with PMOE23, dantrolene was administered at doses of 10mg/kg/day or 20mg/kg/day by intraperotineal injection for nine days following a single intramuscular PMOE23 injection (n=3 mice per group (Table 4). Table 4. Treatment groups for the local administration of PMOE23 in combination with systemic dantrolene. The entire TA was harvested on the tenth day and divided for analysis into 6-7 intervals, each of 800µm length. One half of each of the middle four intervals were pooled to prepare sufficient protein for Western blot analysis (total of 1600um length). Four central sections from the other half were use for immunofluorescence staining. Western blotting demonstrated that treatment with dantrolene at either dose in combination with 2ug of PMOE23 increased expression of dystrophin protein to levels observed with the higher 10ug dose of PMOE23. The induced levels of dystrophin observed represent about 20% of C57 dystrophin levels. Representative immunoflourescence images of TA cross sections stained with anti-dystrophin antibody demonstrate proper localization of dystrophin protein at the sarcolemma in treated samples. Total fluorescence was quantitated from TA sections by scanning four entire cross sections from each of the mice for each experimental group. Quantitation of dystrophin immunofluorescence was highly concordant with western blot quantification. Again, equivalency between the 10ug dose of PMOE23 and the 2ug dose of PMOE23 in combination with dantrolene dose was observed. Dantrolene only rescued protein expression in the presence of PMOE23 reflecting synergistic activity of dantrolene with exon skipping PMOE23 in vivo. Quantitation of skipped/unskipped Dmd mRNA using taqman PCR assay in an independent experiment similarly demonstrated that dantrolene synergizes with IM injection of PMOE23 to facilitate exon skipping ( Figs. 3 and 4 ). Results from local PMOE23 administration prompted further exploration of dantrolene's efficacy in the context of systemic PMOE23 delivery to mdx mice. This enabled us to assess whether dantrolene in combination with systemic morpholino PMOE23 could enhance Dmd exon 23 skipping and induce dystrophin protein expression in multiple skeletal muscles. A single intravenous dose of 100mg/kg PMOE23 was used as a positive control. A single intravenous dose of 10mg/kg AO was used as a sub-optimal dose alone or in combination with twice daily dosing of 10mg/kg/day of dantrolene intraperitoneally for the subsequent 6 days [7, 27] (n=3 in control groups and n=4 in experimental groups; Table 5). Table 5. Treatment groups for the systemic administration of PMOE23 in combination with systemic dantrolene. Multiple skeletal muscles were harvested for analysis on day 7 including the quadriceps, gastrocnemius, tibialis anterior, diaphragm, triceps and heart. Muscles were assessed for: 1) increased amounts of skipped Dmd exon 23 mRNA species 2) Dystrophin protein rescue by Western blot 3) Dystrophin protein expression by quantitative immunostain, 4) appropriate subcellular localization, and 5) restoration of other components of the dystroglycan complex to the sarcolemmal membrane. To determine if dantrolene enhanced Dmd exon 23 skipping, the quantitative taqman assay was performed on RNA from each skeletal muscle. Dantrolene significantly increased Dmd exon 23 mRNA skipping in an aggregate analysis of all skeletal muscle groups (excluding heart). Analysis of individual muscle groups demonstrated that dantrolene enhanced skipping in the gastrocnemius, TA, diaphragm and quadriceps (e.g., Fig. 5a ). Enhancement was not apparent in the triceps, often targeted less well by AOs. No appreciable skipping was observed in heart muscle under any experimental condition. Western blot analysis for dystrophin protein was concordant with mRNA skipping in all muscle groups analyzed (e.g., Figs. 5c , 6 ). Pooled densitometry quantitation of western blots across the quadricep, gastrocnemius, TA and diaphragm for all mice indicates a mean fold increase of 3.1 in dystrophin protein expression when PMOE23 is combined with dantrolene relative to PMOE23 with vehicle. Quantitative immunofluorescence supports qRT-PCR and Western blot quantitation, and further demonstrates dantrolene enhancement of dystrophin protein expression (e.g., Fig. 7 ). Immuno-staining with several anti-dystrophin antibodies demonstrate full N and C terminal expression of dystrophin and correct sarcolemmal localization (e.g., Fig. 8 ). In addition, sequential serial sections of the quadricep muscle indicate that dystrophin expression reestablishes other components of the DGC: β-dystroglycan and α-sarcoglycan (e.g., Fig. 5 ). The levels of α-sarcoglycan and β-dystroglycan expression with 2ug of PMOE23 and dantrolene are similar to that induced by 10ug from the higher systemic dose of PMOE23. The ability of rescued dystrophin to recruit other members of the DGC is suggestive of its ultimate functionality in vivo. Taken together these data demonstrate that dantrolene synergizes with suboptimal dosing of systemic PM0E23 to facilitate exon skipping and rescue of dystrophin protein and sarcolemmal DGC expression in multiple muscles. Our results suggest a model in which dantrolene synergizes with AOs, regardless of sequence specificity and chemistry, to enhance targeted DMD exon skipping. This has been demonstrated both in vitro in mouse and human cell systems, as well as in multiple skeletal muscles with intramuscular and intravenous delivery of PMOE in the mdx mouse. Given the timing of addition of AO and drug, it is unlikely that dantrolene is enhancing uptake of AO. Without wishing to be bound by any particular mechanism, we suggest that it is enhancing exon skipping through interaction with a specific molecular target that is modulating DMD splicing activity. The concept of utilizing small molecules to increase exon skipping efficiency has been demonstrated in a patient with a rare point mutation in DMD exon 31 that disrupts an ESE binding site for the SRp30c splicing factor. The addition of TG003, a specific inhibitor for Clks known to phosphorylate SR proteins increased mutant exon 31 skipping and facilitated dystrophin protein rescue . However this therapeutic strategy is unlikely to be generalizable to broad treatment of DMD patients. Without wishing to be bound by any particular mechanism, we propose that the mechanism by which dantrolene facilitates exon skipping may be that it functions by targeting the ryanodine receptor, its known molecular target. Ryanodine receptor regulates calcium release from the sarcoplasmic reticulum during excitation-contraction coupling in skeletal muscle. Because calcium signaling is a known regulator of splicing activity, dantrolene modulation of RyR1 mediated calcium flux in muscle is a plausible mechanism of its activity, which we are currently investigating. Further RyR expression on the nucleoplasmic reticulum has been implicated in regulating calcium signaling in the nucleus . Hypernitrosylation of RyR in DMD has been attributed to calcium leak and downstream DMD pathology, possibly from calium regulated protein degradation . A more recently developed class of drugs, called 'rycals' stabilize the cardiac RyR2/calstabin interactions, and are under active development for heart failure treatment to prevent a chronic leak of calcium through RyR2 . Thus, dantrolene and rycals which prevent chronic calcium leak have been proposed as potential therapeutics for DMD. While it is possible that the synergistic action of dantrolene in mdx muscle is secondary to stabilization of proteins necessary for regulating the splicing machinery that were previously being degraded, this is unlikely, as we have observed effects of dantrolene on exon 23 skipping in cultured myotubes from C57BL6 as well as mdx mice. Nonetheless, potential activity of dantrolene resulting from non-splicing related effects of calcium modulation may provide another level of synergy in protecting DMD muscle function. Studies of long-term dantrolene efficacy in the context of multiple AP injections and functional redouts, in the models presented herein as well as in humans, will confirm the results presented herein, demonstrating that the optimized administration of the agents disclosed herein improves DMD disease progression. A stable clone was generated from C2C12 cells transfected with a human exon 50 DMD GFP reporter (ex50GFP) that has been previously described . Ex50GFP reporter myoblasts were seeded into uncoated 384 well plates and were incubated for 4 hours either with or without 300nM of 2'-O-methyl phosphorothioate AON6 [5' AACUUCCUCUUUAACAGAAAAGCAUAC 3' (SEQ ID NO:1)] targeting the human exon 50 splice donor site. Cells were transfected with AON6 using the FUGENE (Roche) transfection reagent per manufacturer's instructions. Following AON6 incubation, each component of the BioMol library (n=503) was screened at 10uM concentration with a final concentration of the DMSO carrier being 1%. Forty-eight hours later fluorescence was measured using the MicroXpress high content imager and analyzed using MetaXpress. Immediately preceding imaging, DNA was stained with Hoescht for 30min. The BioMol screen without AO (-AO) was performed in 6 replicates, and the with AO (+AO) screen was performed in 3 replicates. For the screen analysis raw fluorescence values were normalized to carrier controls present on each plate by subtracting the values. Negative fluorescence values were set to 0. The data from each compound were averaged from all replicates. For secondary screening by 12 or 16 point dose response, Ex50GFP myoblasts or C2C12 cells without the reporter were seeded on uncoated 384 well plates. A sub-optimal dose of AON6 targeting DMD exon 50 was added for 4 hours. Following the 4 hour incubation, a compound dilution was added (beginning at 100uM with 1:1 dilutions) for either 12 or 16 points. After a 48 hour incubation with compounds, DNA was stained with Hoescht, and fluorescence determined using the high content imager and analyzed with MetaXpress. Primary mouse myoblasts were isolated from the quadriceps of a C57/B16 mouse and were carried in culture with 20% FBS in DMEM and 2ng/uL FGF. For Dmd exon 23 skipping assays cells were seeded onto extracellular matrix (ECM) (Sigma) coated plates in growth media. On day 2 growth media was removed and fusion media (2% horse serum in phenol red free DMEM) was added. On day 3 a 2-O'-methyl phosphorothioate AO M23D(+02-18) [5' GGCCAAACCUCGGCUUACCU 3' (SEQ ID NO:3)] was transfected into cells using FUGENE per manufacturers instructions. M23D concentrations ranged from 100nM to 600nM, with 100nM M23D representing the sub-optimal dose. On day 4 cells were washed in PBS, and dantrolene (dissolved in DMSO) was added in fresh fusion media. After 48 hours cells were harvested for analysis. Primary human dermal fibroblasts (GM05017) from a DMD patient were obtained from Coriell and were maintained in growth media (DMEM with 15% FBS, 1% nonessential amino acids, 1% pen/strep). Prior to experiments the genomic DMD deletion between exons 45-50 was confirmed using a custom CGH array with 14022 probes tiling the DMD gene (Figure 1). Fibroblasts were then immortalized with a lentiviral hTERT and subsequently transduced with a previously described tamoxifen inducible lentiviral MyoD  (Kind gift from J. Chamberlain). For exon 51 skipping experiments, reprogrammed fibroblasts were seeded onto laminin coated plates in growth media. On Day 2, 5uM tamoxifen (Sigma) was added in growth media. On day 3 fusion media (2% horse serum, 2% insulin-transferrin-selenium (Sigma), 1:1 serum free DMEM to Ham's F-10) with 1uM tamoxifen was added to the cells. A DMD exon 51 2'-O-methyl phosphorothioate AO [5' UCAAGGAAGAUGGCAUUUCU 3' (SEQ ID NO:2)] (MWG Operon) at position +68 to +88 was transfected into cells on Day 7 with ExGen500 (Fermentas) per manufacturer's instructions. AO concentrations ranged from 25-200nM and the sub-optimal dose of AO was 100nM. On Day 8 the AO complex was removed and titrations of drug or carrier (DMSO) were added to wells for 48 hours. On day 10 cells were harvested for analysis. RNA was isolated from cell culture using TRIZOL (mouse) and the QIAGEN RNAeasy Microkit (human). RNA was isolated from snap frozen skeletal muscle using the QIAGEN RNAeasy Fibrous Tissue Kit. In the mouse cells cDNA was reverse transcribed from total RNA with OligodT20 (Invitrogen). In the non-quantitative RT-PCR assay a nested PCR was performed between Dmd exons 20-26 as has been previously described . The quantitative taqman assay to assess Dmd exon 23 skipping detection was performed as previously described . In human cells dystrophin cDNA was reverse transcribed with a gene specific primer in DMD exon 54. A nested RT-PCR between DMD exons 43-52 was then performed using previously described primers . For identifying muscle markers in reprogrammed fusing myotubes cDNA was reverse transcribed with OligodT20. Primers for muscle markers were as follows: MyoD (Fwd- 5' GCAGGTGTAACCGTAACC 3' (SEQ ID NO:4), Rev- 5' ACGTACAAATTCCCTGTAGC 3' (SEQ ID NO:5)), Myosin Heavy Chain (Fwd- 5' CAGTAGCCCCATCACATTTG 3'(SEQ ID NO:6), Rev- 5' ATAACGCAATGGACAAGTG 3' (SEQ ID NO:7)), Desmin (Fwd- 5' CCTACTCTGCCCTCAACTTC 3' (SEQ ID NO:8), Rev- 5' AGTATCCCAACACCCTGCTC 3' (SEQ ID NO:9)), Myogenin (Fwd- 5' GCCACAGATGCCACTACTTC 3'(SEQ ID NO:10) Rev- 5' CAACTTCAGCACAGGAGACC 3'(SEQ ID NO:11)). GAPDH primers are as follows: Fwd-5' GAGCCACATCGCTCAGACAC 3' (SEQ ID NO:12), Rev-5' CATGTAGTTGAGGTCAATGAAGG 3'(SEQ ID NO:13). The thermocycler conditions were 94C for 2min, followed by 33 cycles of 94C for 30s, 62C for 30s, and 72C for 30s, with a final extension of 72C for 10min. 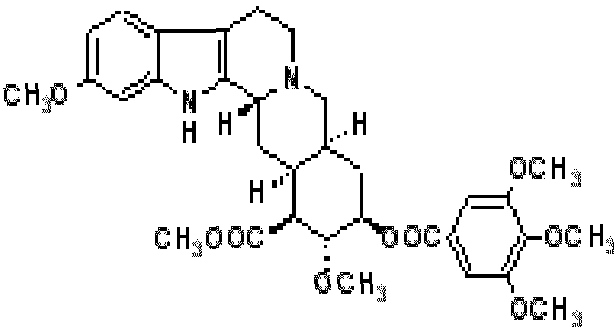 Amplification of the ryanodine receptor required a nested PCR. For the initial PCR the primers were Fwd-5'-CATCAACTATGTCACCAGCATCCG-3' (SEQ ID NO:14) and Rev-5'-GGCTGAACCTTAGAAGAGTC-3' (SEQ ID NO:15) and for the nested PCR the primers were Fwd-5' GAGACCTTCTATGATGCAGC 3' (SEQ ID NO:16) and Rev-5' AGAGCTCGTGGATGTTCTC 3'. (SEQ ID NO:17). Conditions for the initial ryanodine receptor PCR were 95C for 5min, 20 cycles of 95C for 30s, 56C for 2min, 72C for 90s and a final extension of 72C for 10min. The nested PCR conditions were 95C for 5min, 35 cycles of 95C for 30s, 59C for 2min, 72C for 90s and a final extension of 72C for 10min. Total protein was isolated from flash frozen skeletal muscle from both the membrane and cytoplasmic fractions. Briefly, 1/2 of each analyzed muscle were homogenized for 1 minute in 1 mL of ice-cold mito-buffer (0.2 mM EDTA, 0.25 mM sucrose, 10 mM TrisHCl,pH 7.4) with protease/phosphatase inhibitors cocktail (Pierce) and DNAse/RNAse and subjected to low-speed (1500g) centrifugation for 10 min at 4C. The supernatant was centrifuged at 100000g (high speed centrifugation) for 1 hr for isolation of membrane fraction. Isolated membranes and pellet after low speed centrifugation were combined and re-suspended in 300uL of extraction buffer (50 mM Tris-HCl, pH 7.4, 7 M urea, 2 M thiourea, 4% CHAPS, 2% SDS, 50mM beta-mercaptoethanol). Protein concentration in solubilized pellet and supernatant after high-speed centrifugation (cytoplasmic fraction) was determined by 2-D Quant Kit (GE Healthcare Life Sciences). 50ug of total protein from dystrophic mice, or 5ug from wildtype, was run on a 6% polyacrylamide gel and transferred onto a nitrocellulose membrane for 2 hours at 4C. The membrane was blocked for 1hr in 5% milk and then incubated with MANDYS8 (Sigma) 1:500 against dystrophin or 1:5000 anti-vinculin (Sigma), a skeletal muscle membrane protein not associated with the DGC that was utilized as a loading control. For analysis dystrophin protein levels were normalized to the vinculin loading control and then pooled across treatment groups or muscles to determine average dystrophin rescue. Dystrophin and vinculin were detected in pellet (miofibrillar/membrane fraction) but not in cytoplasmic fraction. Unfixed frozen tissue sections were air dried and incubated for 1hr in MOM Mouse IgG blocking reagent. Sections were incubated with MANDYS8 (Sigma) for dystrophin detection in the rod domain, Ab 15277 (Abcam) for dystrophin detection at the C terminus, and Manex 1A (Developmental Studies Hybridoma Bank) for dystrophin detection at the N terminus. Staining for other members of the dystrophin-glycoprotein complex was performed with NCL-a-SARC (Novocastra) for alpha-sarcoglycan and NCL-b-DG (Novocastra) for beta-dystroglycan. Nuclear DNA was visualized with a DAPI stain. Secondary labeling was performed with a FITC labeled anti-mouse or anti-rabbit from Vector labs. For immunofluorescence in human cell culture terminally fused myotubes were fixed in 2% paraformaldehyde for 15min and then blocked in 20% goat serum for 1hour. Cells were washed and then incubated with 1:40 MF20 for detection of myosin heavy chain (Developmental Studies Hybridoma Bank). Cells were then incubated in Alexa488 (Invitrogen) at 1:400 and were mounted in ProLong Gold Antifade Mounting Medium with DAPI (Invitrogen). PMOE23 morpholino (GeneTools) was resuspended in 150mM sterile saline for intramuscular injections in a 25uL volume into the tibialis anterior muscle. Intravenous administration of PMOE23 was achieved by tail vein injection of morpholino resuspended in 200uL sterile saline. Dantrolene sodium salt (Sigma) was resusupended in 100% DMSO stock solutions and diluted in sterile saline (final 20% DMSO) immediately prior to the twice daily intraperitoneal injection in a 200uL volume. All statistical analysis were a two-tailed student's t test with unequal variance in EXCEL. The experiments described in the figures as summarized below were carried out using methods described elsewhere herein, and/or by conventional methods that are well-known by those of skill in the art. These experiments provide data showing, e.g., that 7 additional small molecule compounds can enhance exon skipping of the DMD gene of human myotube which are exon 51 skippable. See Figures 11, 12 and 13. 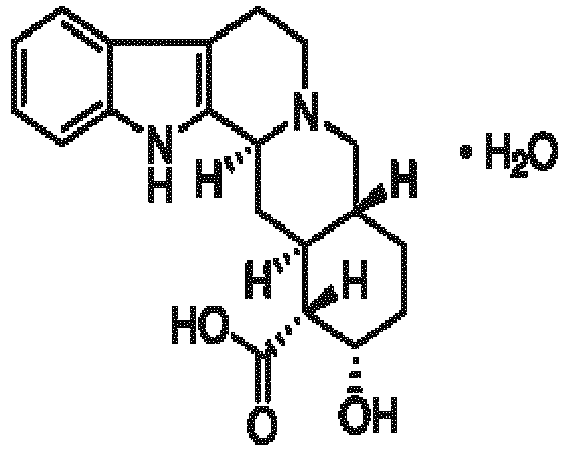 It is noted that two of these molecules (Ryanodine and S107 (called a RYCAL) target the ryanodine receptor, which is also targeted by dantrolene. See figures 14 and 15. Without wishing to be bound by any particular mechanism, it is suggested that this observation supports the conclusion that blocking the ryanodine receptor is one of the mechanisms of this effect. Furthermore, additional confirmatory tests (titrations) are presented and functional testing of dantrolene is shown in a mouse system. Figure 16 shows that low dose AO (exon 23 in mouse that repairs the mdx mouse gene) with dantrolene improves skeletal muscle function in a three week experiment relative to a higher dose of AO alone. An alternative formulation of dantrolene - Revonto - is also shown to be effective. 1. Emery, A.E., The muscular dystrophies. Lancet, 2002. 359(9307): p. 687-95. 2. Emery, A.E., Population frequencies of inherited neuromuscular diseases--a world survey. Neuromuscul Disord, 1991. 1(1): p. 19-29. 3. Monaco, A.P., et al., Detection of deletions spanning the Duchenne muscular dystrophy locus using a tightly linked DNA segment. Nature, 1985. 316(6031): p. 842-5. 4. Monaco, A.P., et al., An explanation for the phenotypic differences between patients bearing partial deletions of the DMD locus. Genomics, 1988. 2(1): p. 90-5. 5. Nakamura, A., et al., Follow-up of three patients with a large in-frame deletion of exons 45-55 in the Duchenne muscular dystrophy (DMD) gene. J Clin Neurosci, 2008. 15(7): p. 757-63. 6. King, W.M., et al., Orthopedic outcomes of long-term daily corticosteroid treatment in Duchenne muscular dystrophy. Neurology, 2007. 68(19): p. 1607-13. 7. Alter, J., et al., Systemic delivery of morpholino oligonucleotide restores dystrophin expression bodywide and improves dystrophic pathology. Nat Med, 2006. 12(2): p. 175-7. 8. Goemans, N.M., et al., Systemic administration of PRO051 in Duchenne's muscular dystrophy. N Engl J Med, 2011. 364(16): p. 1513-22. 9. Kinali, M., et al., Local restoration of dystrophin expression with the morpholino oligomer AVI-4658 in Duchenne muscular dystrophy: a single-blind, placebo-controlled, dose-escalation, proof-of-concept study. Lancet Neurol, 2009. 8(10): p. 918-28. 10. van Deutekom, J.C., et al., Local dystrophin restoration with antisense oligonucleotide PRO051. N Engl J Med, 2007. 357(26): p. 2677-86. 11. Yokota, T., et al., Efficacy of systemic morpholino exon-skipping in Duchenne dystrophy dogs. Ann Neurol, 2009. 65(6): p. 667-76. 12. Lu, Q.L., et al., Functional amounts of dystrophin produced by skipping the mutated exon in the mdx dystrophic mouse. Nat Med, 2003. 9(8): p. 1009-14. 13. Crisp, A., et al., Diaphragm rescue alone prevents heart dysfunction in dystrophic mice. Hum Mol Genet, 2011. 20(3): p. 413-21. 14. Aartsma-Rus, A., et al., Theoretic applicability of antisense-mediated exon skipping for Duchenne muscular dystrophy mutations. Hum Mutat, 2009. 30(3): p. 293-9. 15. Goemans, N.M., et al., 24 week follow-up data from a phase I/IIa extension study of PRO051/GSK240220968 in subjects with Duchenne muscular dystrophy, in 15th International Congress of The World Muscle Society. 2010, Neuromuscular Disorders. p. 639. 16. Shrewsbury, S.B., et al., Current progress and preliminary results with the systemic administration trial of AVI-4658, a novel phosphorodiamidate morpholino oligomer (PMO) skipping dystrophin exon 51 in Duchenne muscular dystrophy (DMD), in 15th International Congress of the World Muscle Society. 2010, Neuromuscular Disorders. p. 639-640. 17. Neri, M., et al., Dystrophin levels as low as 30% are sufficient to avoid muscular dystrophy in the human. Neuromuscul Disord, 2007. 17(11-12): p. 913-8. 18. Hu, Y., et al., Guanine analogues enhance antisense oligonucleotide-induced exon skipping in dystrophin gene in vitro and in vivo. Mol Ther, 2010. 18(4): p. 812-8. 19. Krebs, J., The influence of calcium signaling on the regulation of alternative splicing. Biochim Biophys Acta, 2009. 1793(6): p. 979-84. 20. Glahn, K.P., et al., Recognizing and managing a malignant hyperthermia crisis: guidelines from the European Malignant Hyperthermia Group. Br J Anaesth. 105(4): p. 417-20. 21. Verrotti, A., et al., Pharmacotherapy of spasticity in children with cerebral palsy. Pediatr Neurol, 2006. 34(1): p. 1-6. 22. Bertorini, T.E., et al., Effect of dantrolene in Duchenne muscular dystrophy. Muscle Nerve, 1991. 14(6): p. 503-7. 23. Quinlan, J.G., S.R. Johnson, and F.J. Samaha, Dantrolene normalizes serum creatine kinase in MDX mice. Muscle Nerve, 1990. 13(3): p. 268-9. 24. Tennyson, C.N., H.J. Klamut, and R.G. Worton, The human dystrophin gene requires 16 hours to be transcribed and is cotranscriptionally spliced. Nat Genet, 1995. 9(2): p. 184-90. 25. O'Leary, D.A., et al., Identification of small molecule and genetic modulators of AON-induced dystrophin exon skipping by high-throughput screening. PLoS One, 2009. 4(12): p. e8348. 26. Kimura, E., et al., Cell-lineage regulated myogenesis for dystrophin replacement: a novel therapeutic approach for treatment of muscular dystrophy. Hum Mol Genet, 2008. 17(16): p. 2507-17. 27. Malerba, A., et al., Dosing regimen has a significant impact on the efficiency of morpholino oligomer-induced exon skipping in mdx mice. Hum Gene Ther, 2009. 20(9): p. 955-65. 28. Nishida, A., et al., Chemical treatment enhances skipping of a mutated exon in the dystrophin gene. Nat Commun, 2011. 2: p. 308. 29. Marius, P., et al., Calcium release from ryanodine receptors in the nucleoplasmic reticulum. Cell Calcium, 2006. 39(1): p. 65-73. 30. Bellinger, A.M., et al., Hypernitrosylated ryanodine receptor calcium release channels are leaky in dystrophic muscle. Nat Med, 2009. 15(3): p. 325-30. 31. Shan, J., et al., Role of chronic ryanodine receptor phosphorylation in heartfailure and beta-adrenergic receptor blockade in mice. J Clin Invest. 120(12): p. 4375-87. From the foregoing description, one skilled in the art can easily ascertain the essential characteristics of this invention, and without departing from the scope thereof, can make changes and modifications of the invention to adapt it to various usage and conditions and to utilize the present invention to its fullest extent. The preceding preferred specific embodiments are to be construed as merely illustrative, and not limiting of the scope of the invention in any way whatsoever. Furaltadone hydrochloride, or a pharmaceutically acceptable salt, hydrate, solvate, or isomer thereof, for use in a method of treating Duchenne Muscular Dystrophy (DMD), or a non-human model of DMD. Furaltadone hydrochloride, or a pharmaceutically acceptable salt, hydrate, solvate, or isomer thereof, for use according to claim 1, wherein said treating comprises enhancing exon skipping in an mRNA of interest by contacting the mRNA with the furaltadone hydrochloride, or a pharmaceutically acceptable salt, hydrate, solvate, or isomer thereof. (c) the mRNA is from the muscle dystrophin (DMD) gene, which encodes a muscle dystrophin protein. Furaltadone hydrochloride, or a pharmaceutically acceptable salt, hydrate, solvate, or isomer thereof, for use according to claim 3(c), wherein the exon which is skipped is exon 23, 44, 45, 50, 51, 52 and/or 53 of the DMD gene. Furaltadone hydrochloride, or a pharmaceutically acceptable salt, hydrate, solvate, or isomer thereof, for use according to claim 1 wherein the subject is human. 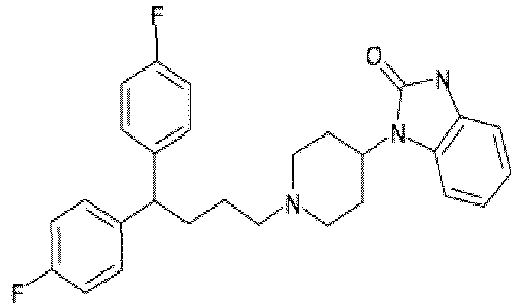 Furaltadone hydrochloride for use according to claim 1, wherein said use is in conjunction with an AO which is specific for a splicing sequence of exon 23, 45, 44, 50, 51, 52 and/or 53 of the DMD gene. and, optionally, a pharmaceutically acceptable carrier. A product containing furaltadone hydrochloride, or a pharmaceutically acceptable salt, hydrate, solvate, or isomer thereof and AO according to claim 7 as a combined preparation for simultaneous, separate or sequential use in the treatment of DMD or animal model of DMD. A kit for enhancing exon skipping in an mRNA of interest, comprising furaltadone hydrochloride, or a pharmaceutically acceptable salt, hydrate, solvate, or isomer thereof, and an AO that is specific for an exon splicing sequence in the mRNA of interest, wherein the AO and the furaltadone hydrochloride, or a pharmaceutically acceptable salt, hydrate, solvate, or isomer thereof are optionally packaged in containers, separately or together. The kit according to claim 9 for enhancing exon skipping in a muscle dystrophin mRNA in a subject that has Duchenne Muscular Dystrophy (DMD), or is an animal model of DMD, comprising a dosage form of furaltadone hydrochloride, or a pharmaceutically acceptable salt, hydrate, solvate, or isomer thereof, and of an AO that is specific for the exon which is to be skipped, and a pharmaceutically acceptable carrier, wherein the AO and the furaltadone hydrochloride, or a pharmaceutically acceptable salt, hydrate, solvate, or isomer thereof are optionally packaged in containers, separately or together. A method of enhancing exon skipping in an mRNA of interest, the method comprising contacting the mRNA with furaltadone hydrochloride or a pharmaceutically acceptable salt, hydrate, solvate, or isomer thereof, wherein said method is carried out in vitro. Inventor name: NELSON, STANLEY F.